We finished up our awesome cruise adventure with Christmas in Cape Town. 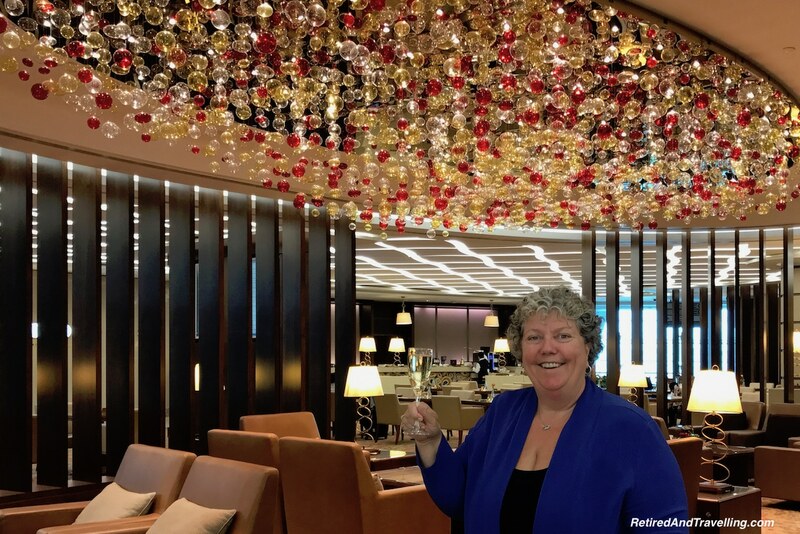 Traveling with Oceania Cruises was certainly a luxury experience. 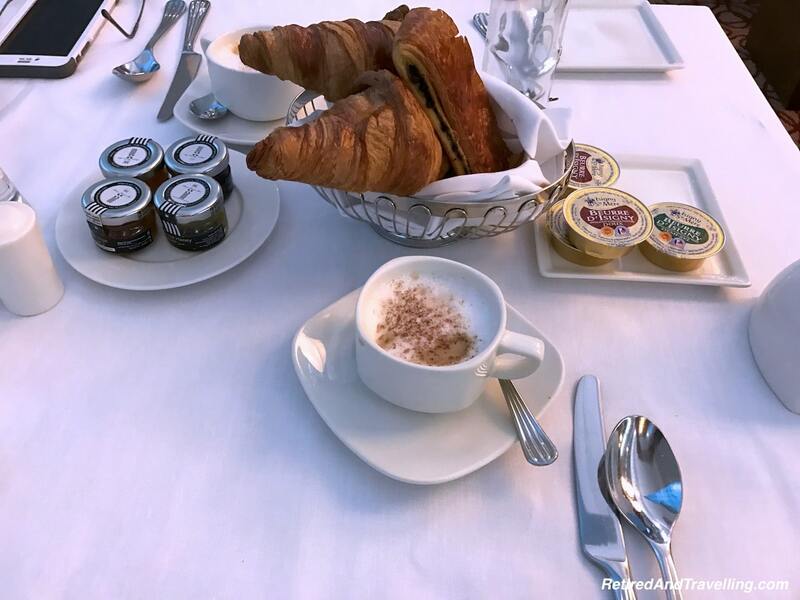 Our IHG upgrades in Concierge Level pampered us when we started our cruise in Athens and then finished the trip in Dubai. But nothing was as much of a splurge as spending a day in Emirates First Class to finish our year in style! 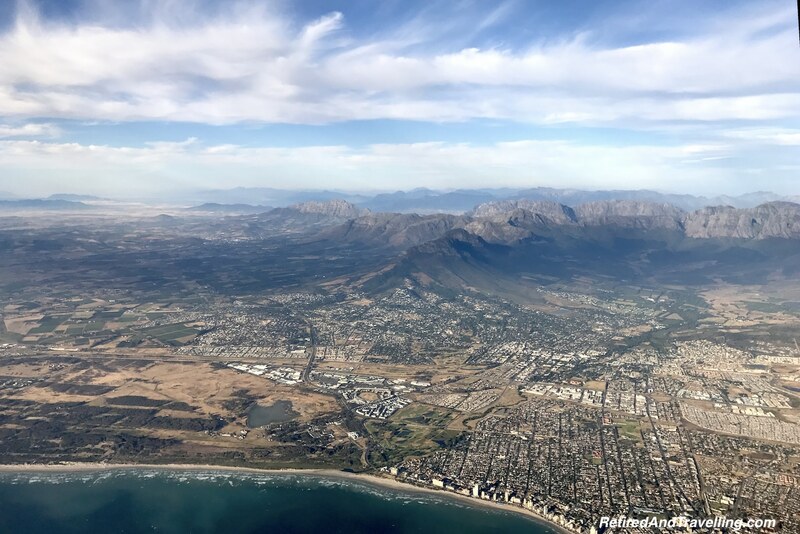 We are still not quite sure how we managed to find the Emirates First Class deal for flights between Cape Town and Dubai and then Dubai to Toronto. 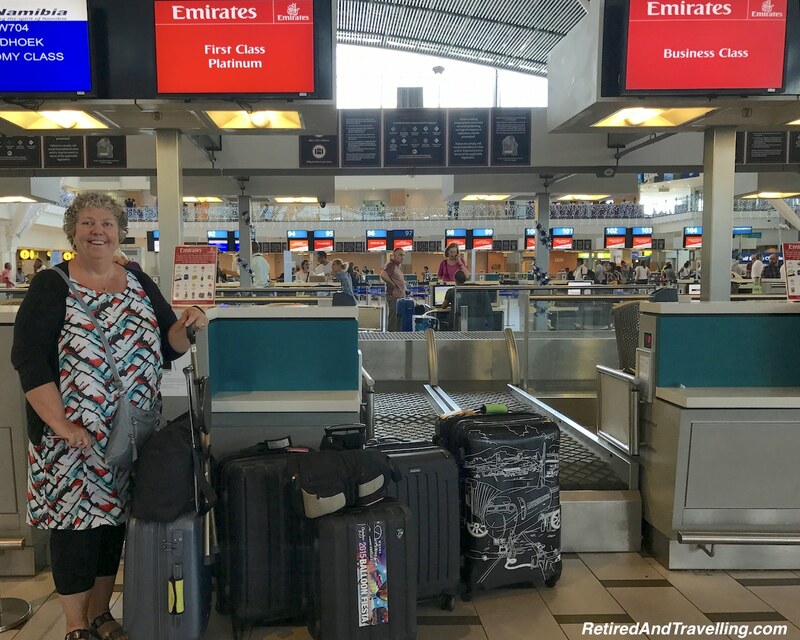 We paid about 1/3 of the going fare for a First Class flight from Dubai to Toronto. 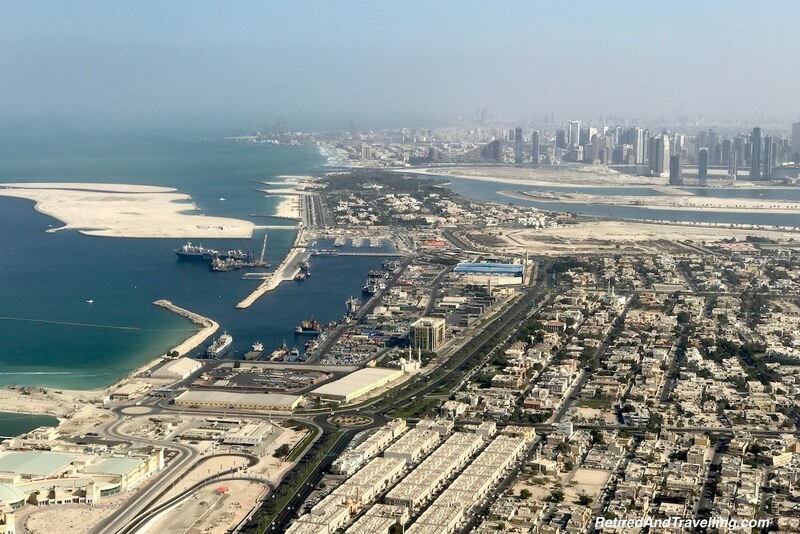 Maybe the week stay in Dubai changed it from a one way to multi-stop fare? We know all too well the absolute penalty paid for one way travel. Maybe starting travels on New Years Eve got us a break? 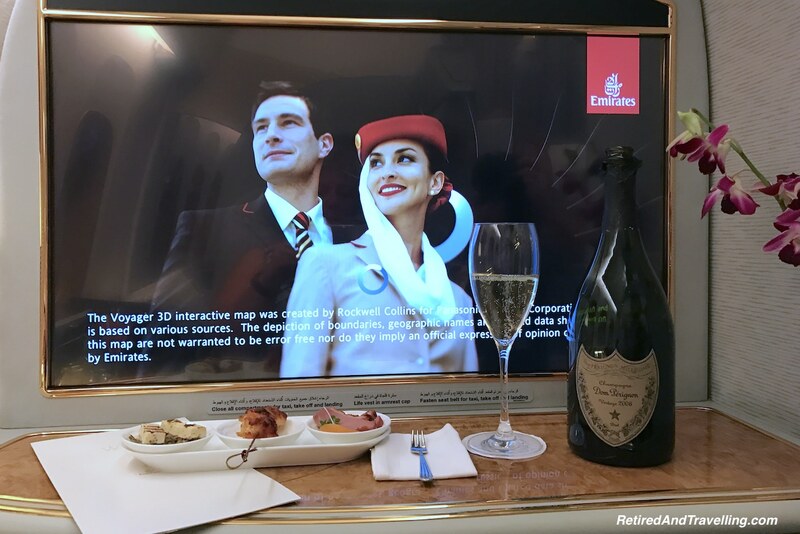 All we knew was that this chance to experience two Emirates First Class trips was within our gulp zone. It was even better that we could book this special treat with accumulated travel dollars. We both carry TD First Class Travel Visa Infinite cards as our primary credit cards. Almost everything we buy goes on credit cards. And we have been saving our travel dollars for a special treat. What could be more special than Emirates First Class! 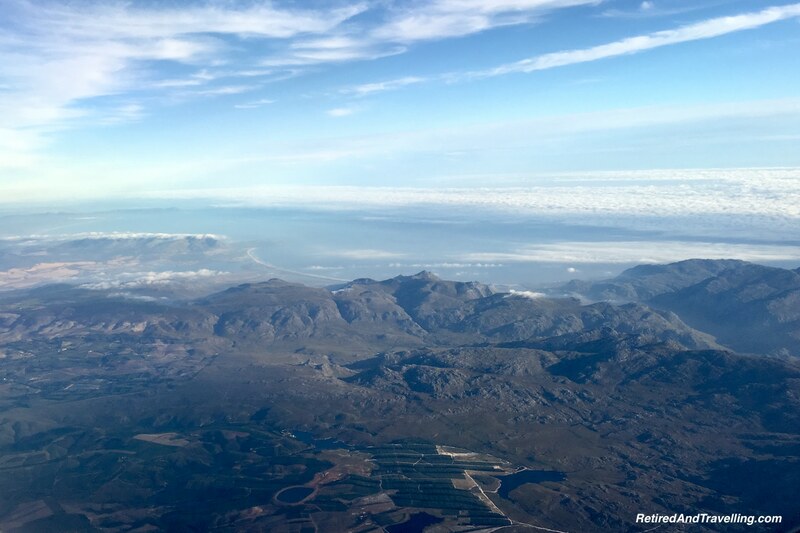 The first flight from Cape Town to Dubai was 9.5 hours overnight on a Boeing 777 plane. The trip home to Toronto from Dubai was 14.5 hours during the day on an Airbus A380. We could directly compare the offerings on two different classes of airplane. 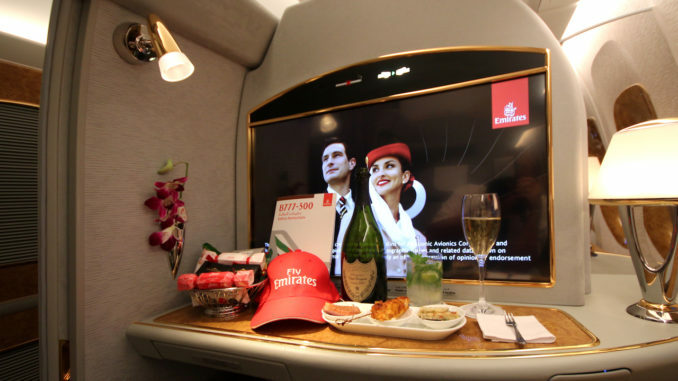 A chance to spend a day in Emirates First Class would let us really see what it was all about! We travel in all classes, depending where we are going and how long the trip is. We are big public transit users when on the ground. 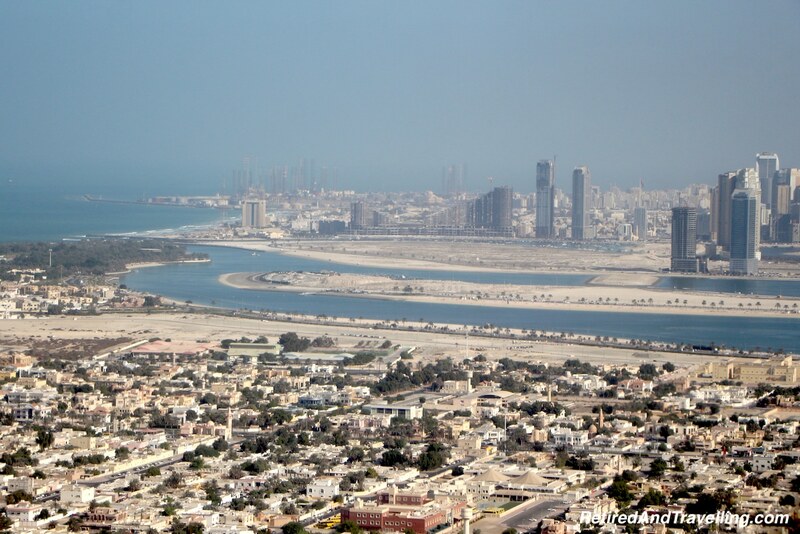 It is cheap, provides wide ranging routes and lets us get closer to where we are visiting. Domestic travel is usually in Economy Class unless we can get an upgrade at a reasonable price. I can manage “sardine Class” for about 4 hours before my snarling or fidgeting causes major problems. If we are doing longer flights or overnight flights, I like to upgrade to Business Class. Certainly traveling to SE Asia justified flying Cathay Pacific Business Class. 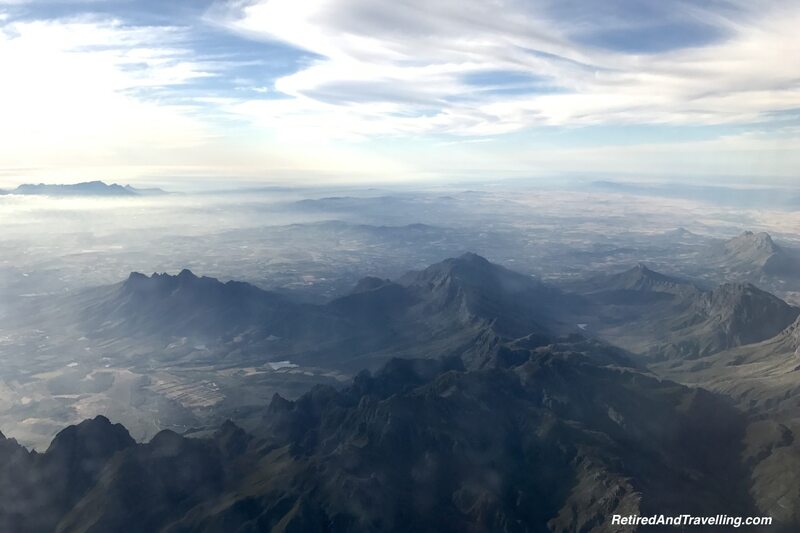 We just recently tried Premium Economy for a trans-Atlantic flight and on some carriers that may be a good option for shorter flights. 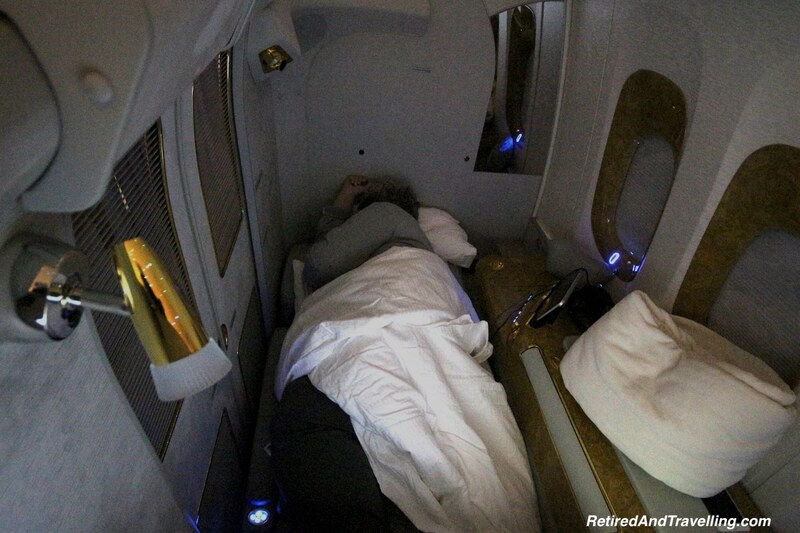 Flying Emirates First Class offered the promise of an even more relaxing long distance traveling experience. Airport transfers meant we went to and from the airport in style. Baggage allowances ensured that packing for a 10 week trip was not an exercise in supreme compromise. 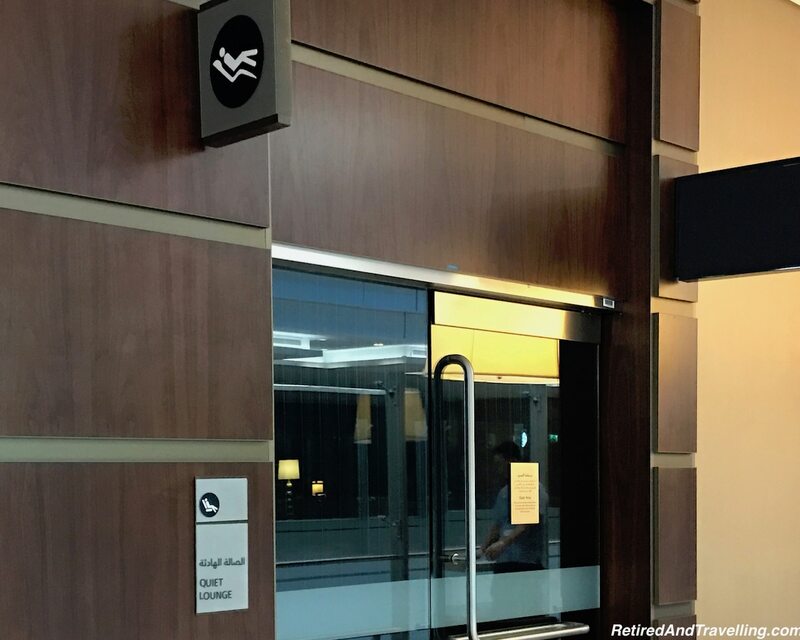 Lounges with sleep rooms, showers and free spa time meant we looked forward to our time at the airport. Spacious airplane cabins with doors that closed provided privacy and a better chance of sleeping in the pyjamas provided. Good food and top shelf liquor could be enjoyed in front of your large entertainment screen. A shower in the air before landing topped off the experience. 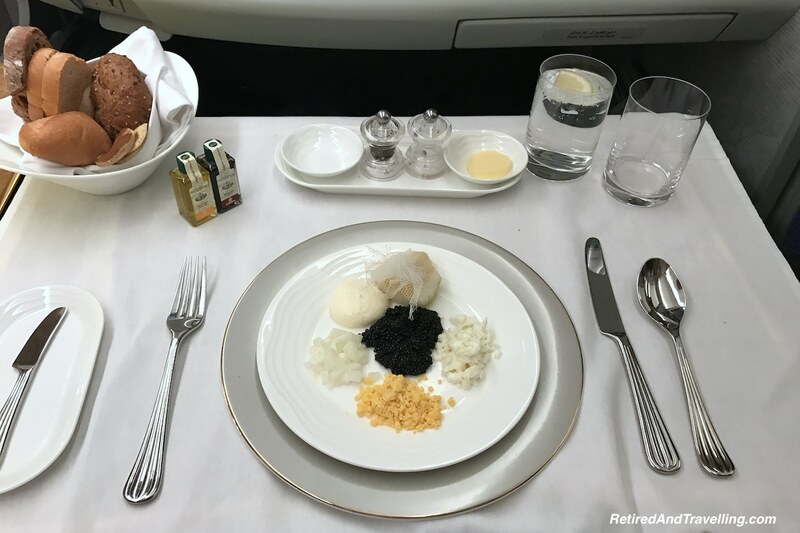 The Emirates First Class flights provided a lot of new experiences but were they worth it? 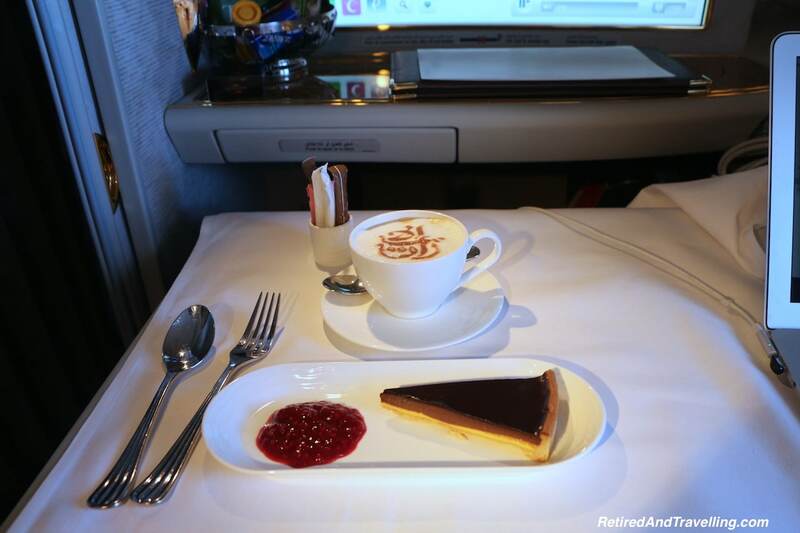 Let’s check out the 10 ways that Emirates First Class helped finished our year in style. But was it worth an upgrade from Business Class? 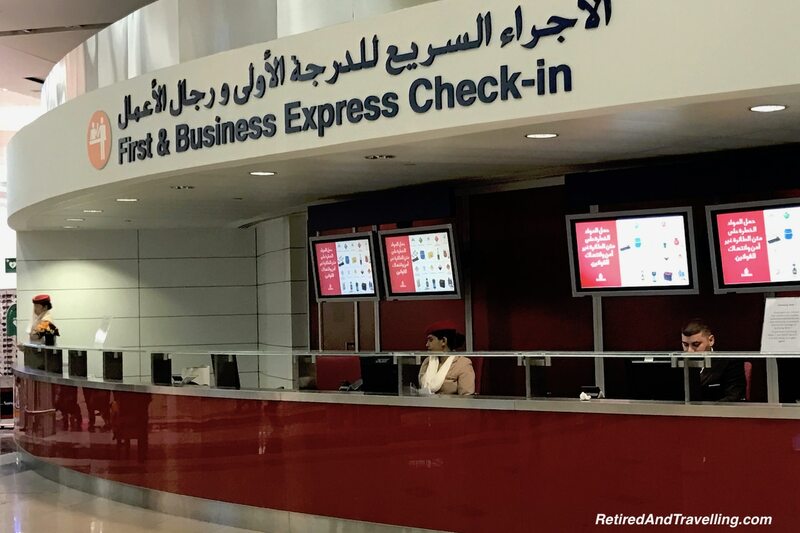 When your travel Emirates First Class, the airport transfers are included. It is easy to log into your online profile and book your pickup time and location. It would have been great to have been able to request a larger car since we were traveling with a lot of luggage. And we could find no way to note that David and I were traveling together since we had booked two separate tickets with each of our TD travel dollars. Special requests like that required a long phone call. The requests were never visible on the profile, so we were never sure that are requests would be honoured when a driver showed up. Our Cape Town driver was great. He called in advance to verify the details of our pickup. He helped to load our bags, chatted with us in transit and made the experience pleasant. The Dubai drivers were not great Emirates brand ambassadors. Both were silent, cold and unwilling to help with the baggage. 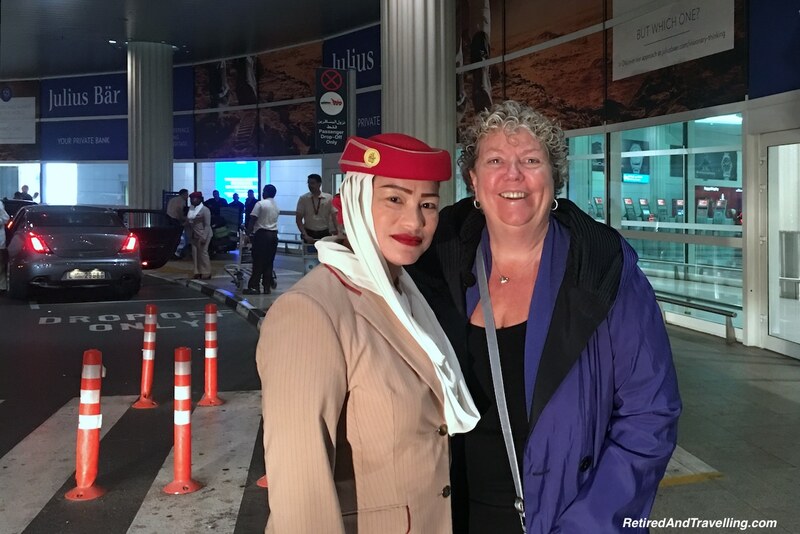 Luckily the reception Ambassador who met us at the Dubai airport was awesome! In both cases when we flew into the airport, it was relatively easy to find the driver. 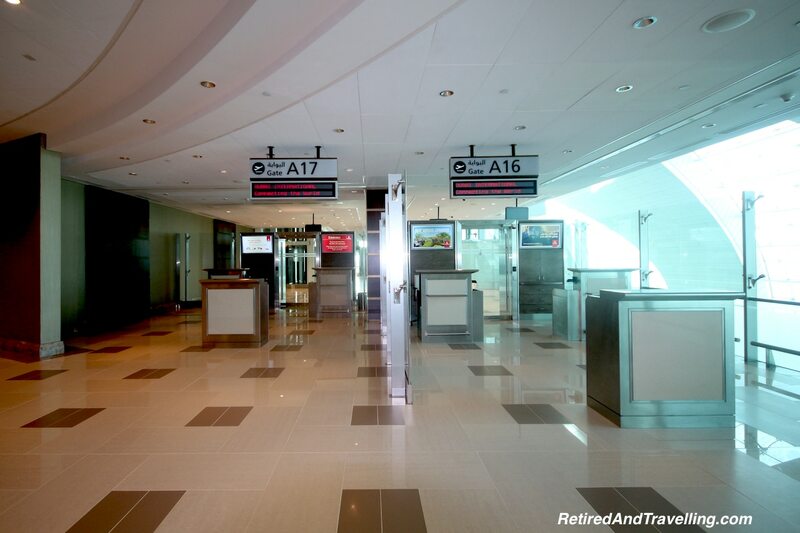 In Dubai there is a large arrivals area and in Toronto a special Emirates desk directs you. It was great to not have to worry about airport transfers. The process was a little unclear on our first experience but the car and driver were always there. One less detail we needed to plan! 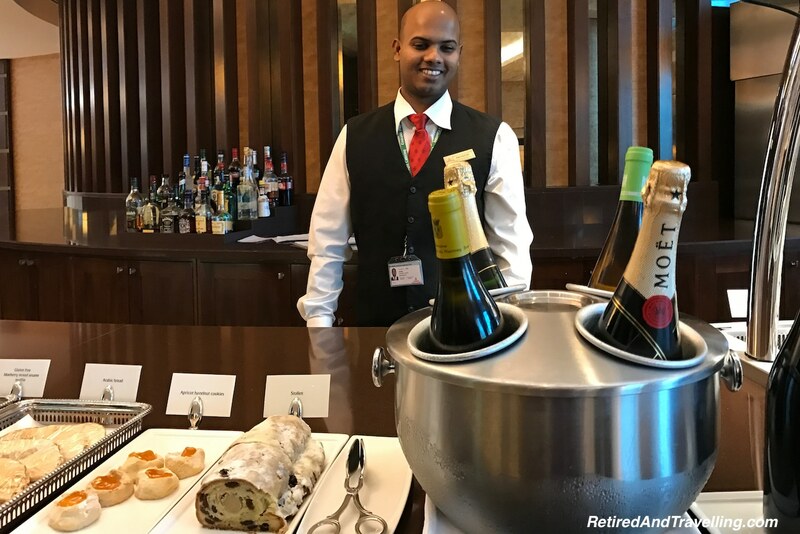 It was a great Emirates First Class perk for us but we still would have this perk flying Emirates Business Class in many destinations! As long as you don’t fly Economy Class, most airlines provide dedicated check in lines. Typically the lines are short and the process is fast. 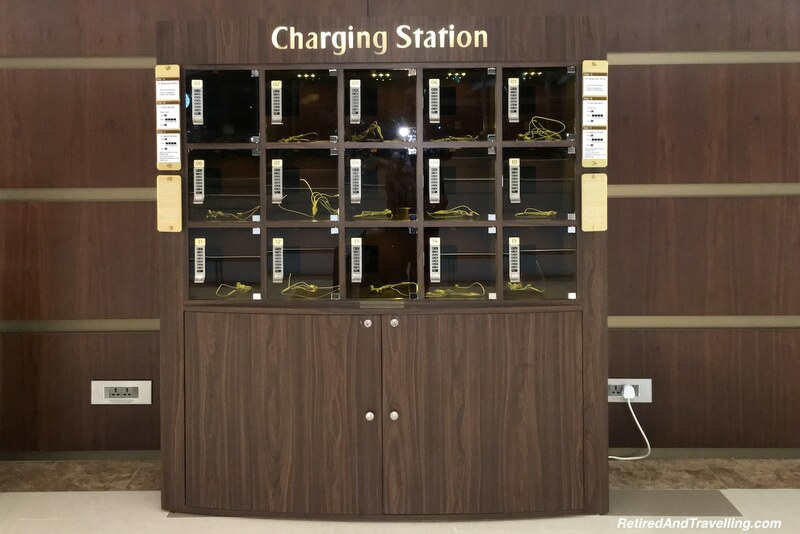 In Dubai your driver drops you off at an entirely separate dedicated Emirates area for check in. Certainly a home court advantage! 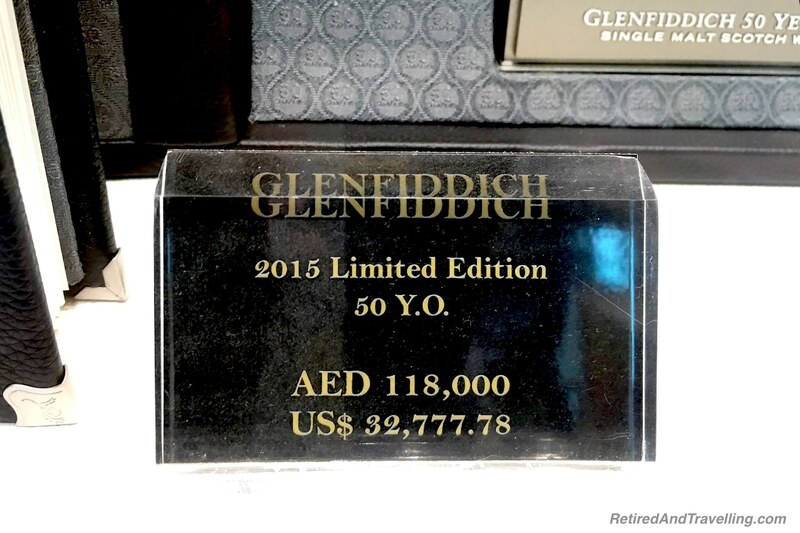 Emirates First Class baggage limits should be enough for even the worst packer. If you fly First Class you get a generous allowance that does vary by destination. For some flights you may get up to 20kg more checked baggage weight in First Class versus Business Class. 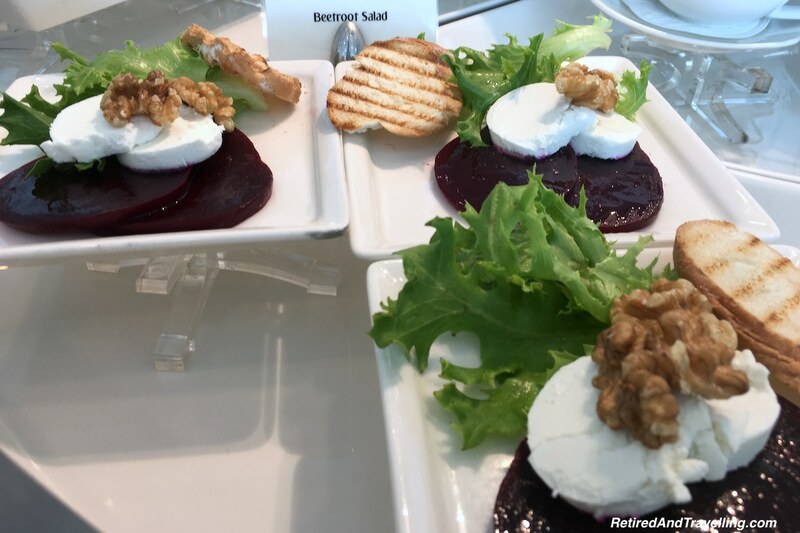 For other flights, the limits for First and Business Class are the same. Given we were travelling for 10 weeks, we made good use of the weight allowances! The carry-on baggage limit is generous and never did our bags get weighed! Carry-on limits are generally the same in First and Business Class. When we flew Premium Economy with Alitalia on our way to start the cruise, everything was weighed. We had to pack and re-pack our checked bags to get our carry-on bags to meet the limit. Even if we were substantially under the total weight we were allowed! 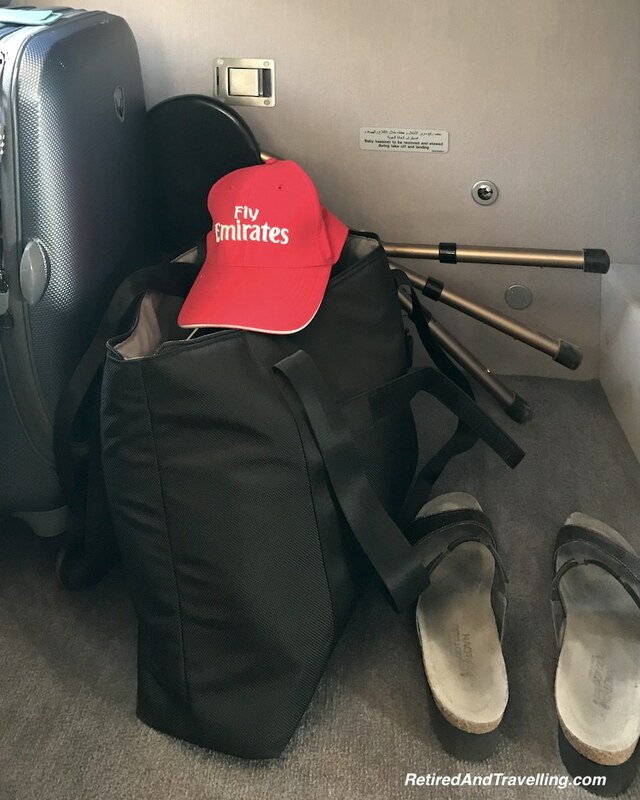 Even Economy Class on Emirates has very strict carry-on weight limits! 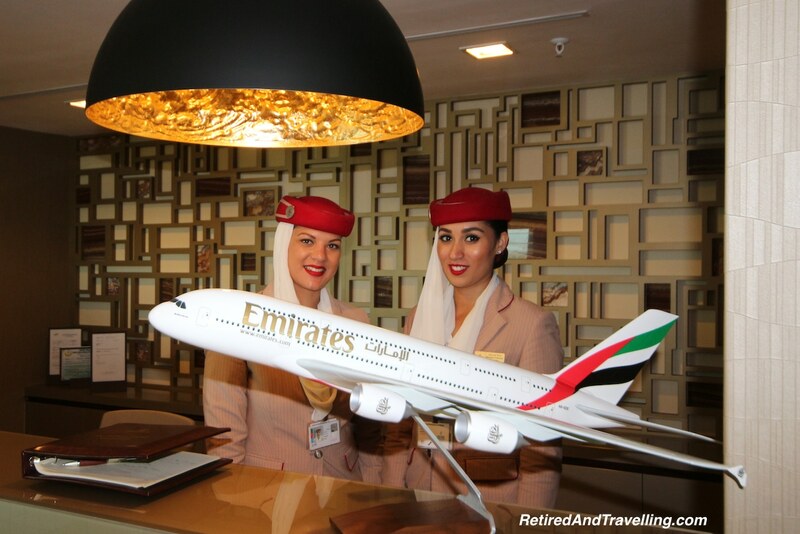 One of the advantages of flying Emirates First Class into Dubai was priority lane access for customs and immigration. The lines were relatively short when we arrived from Cape Town. 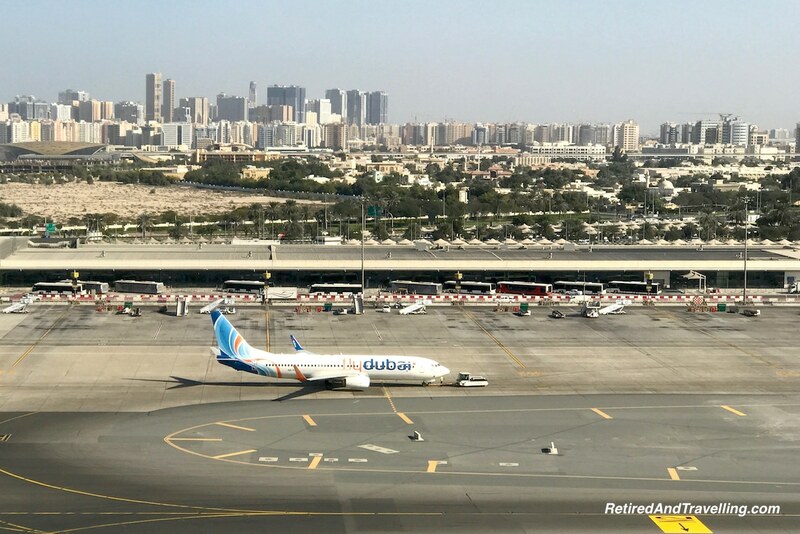 But had they been the normal chaos, having a fast lane pass would have really made the arrival process in Dubai painless. 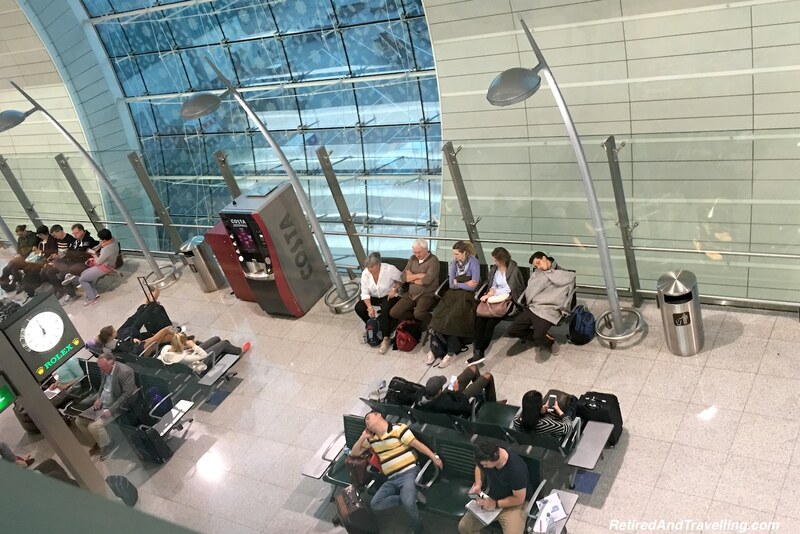 We are often at the airport well before departure time. 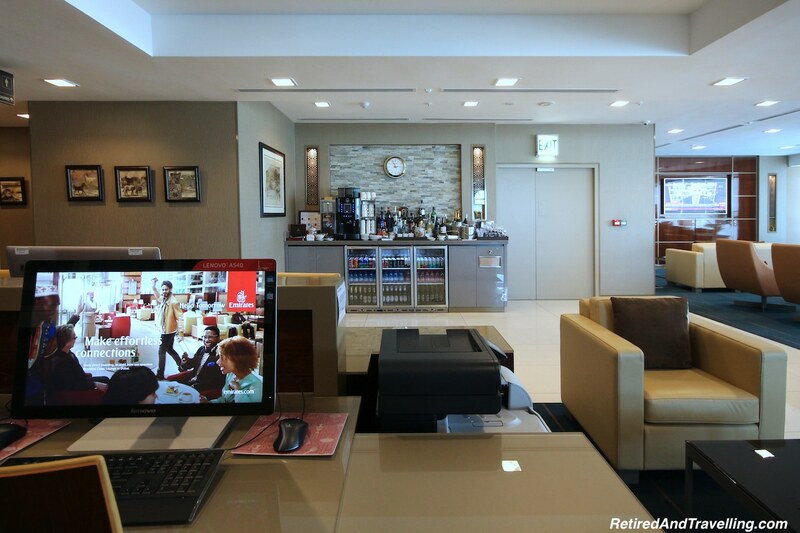 Having access to an airport lounge gives us a place to relax. 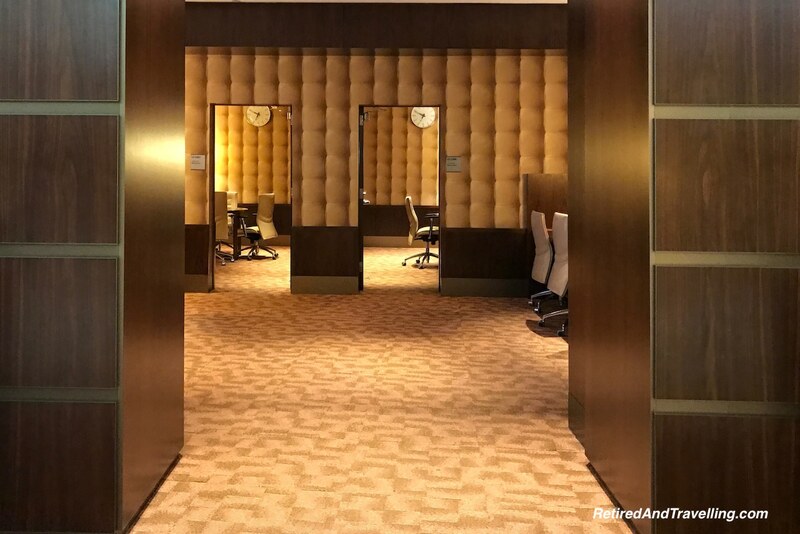 When we flew with Cathay Pacific, in some of the airports there were distinct First and Business Class lounges. 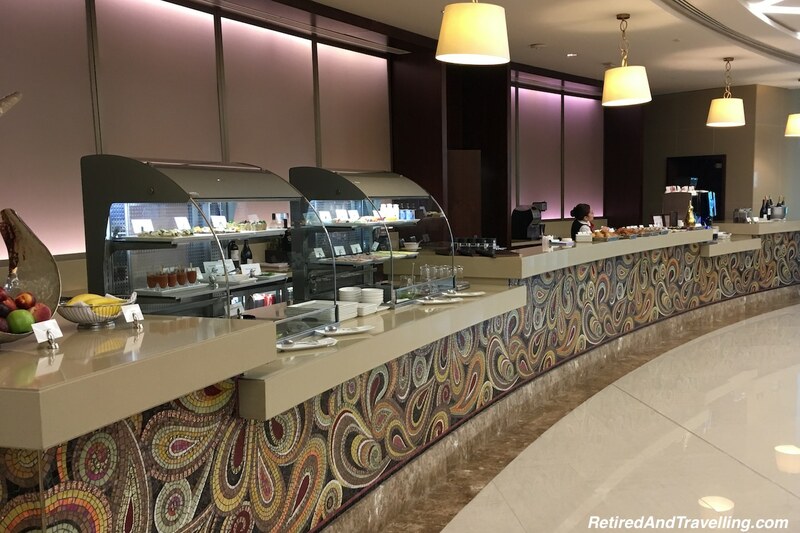 We were excited to finally see whether a dedicated First Class lounge was really that much better. In Cape Town, there was only a shared lounge area. It was comfortable and offered lots of seating, wifi, meals and snacks. 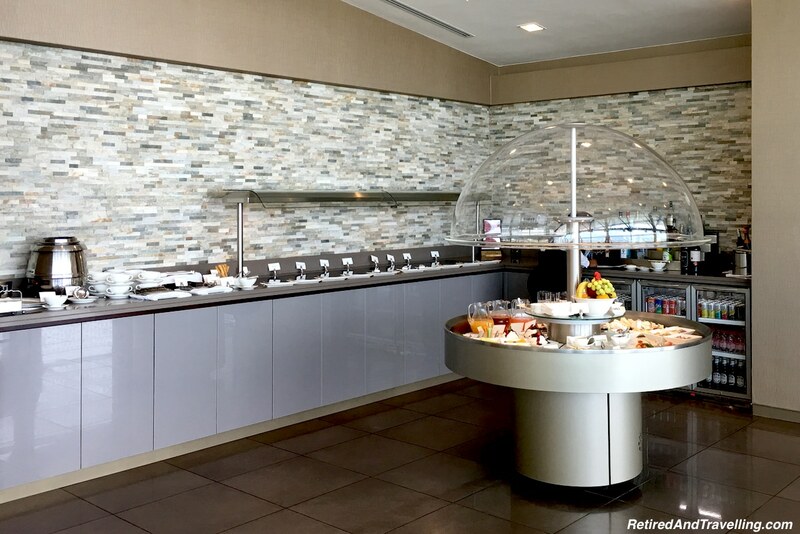 It was pretty similar to many Business Class lounges we have experienced. 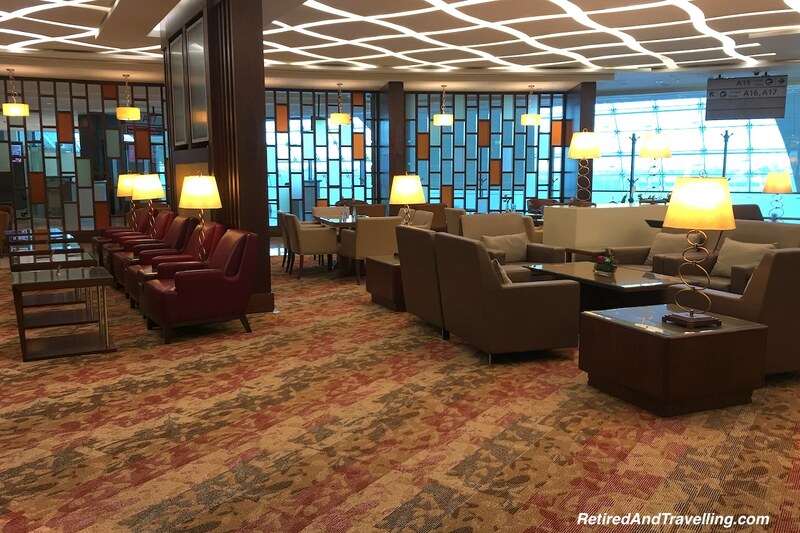 But it certainly was not as nice as the Cathay Pacific Business Class lounge in Hong Kong! 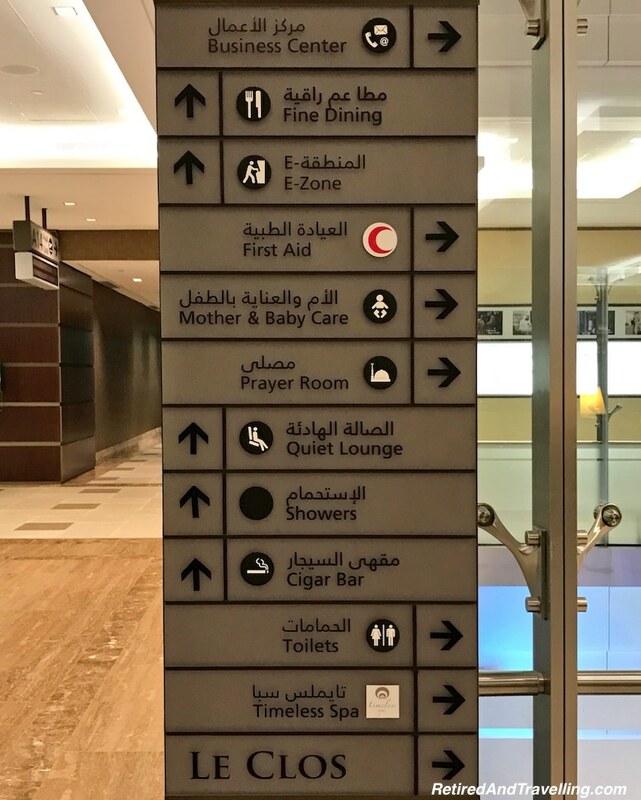 In Dubai, the Business and First Class lounges are on separate floors. Both occupy a whole floor and provide direct gates to the upper deck of the A380 airplanes. You could look down and see those not fortunate enough to be enjoying our great lounge experience! 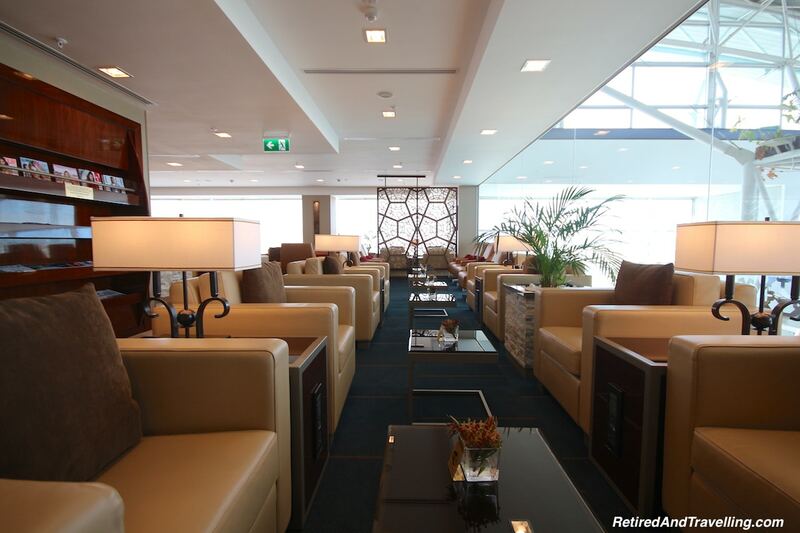 In the Emirates First Class lounge in Dubai there are multiple seating areas. One large restaurant provides table service. The breakfast selection was good. 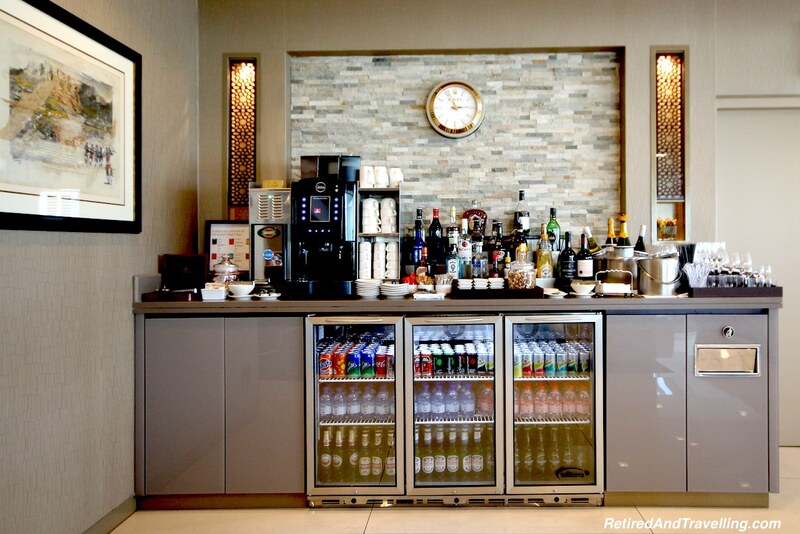 There are also snack areas at each gate complete with a bar well stocked with champagne. 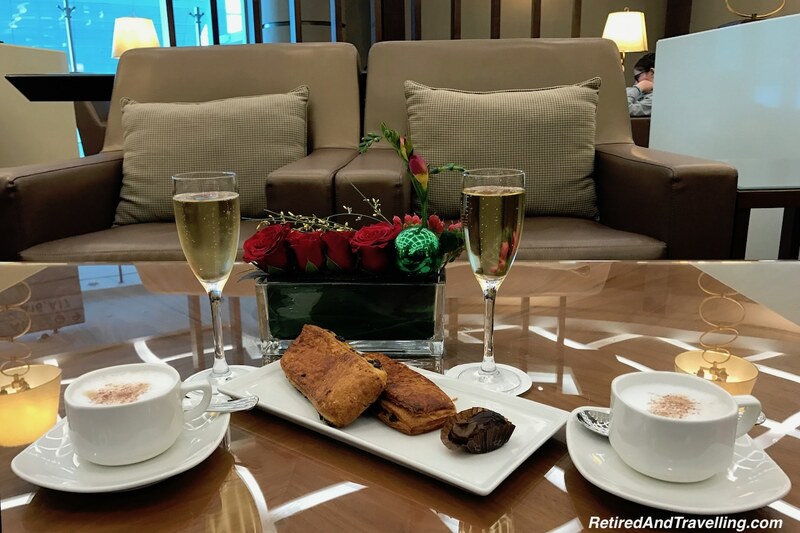 We certainly could have spent more time enjoying the spacious Emirates First Class Lounge. Because of the size of the lounge, it was quite empty and quiet. That helped to enhance the feeling of being pampered. 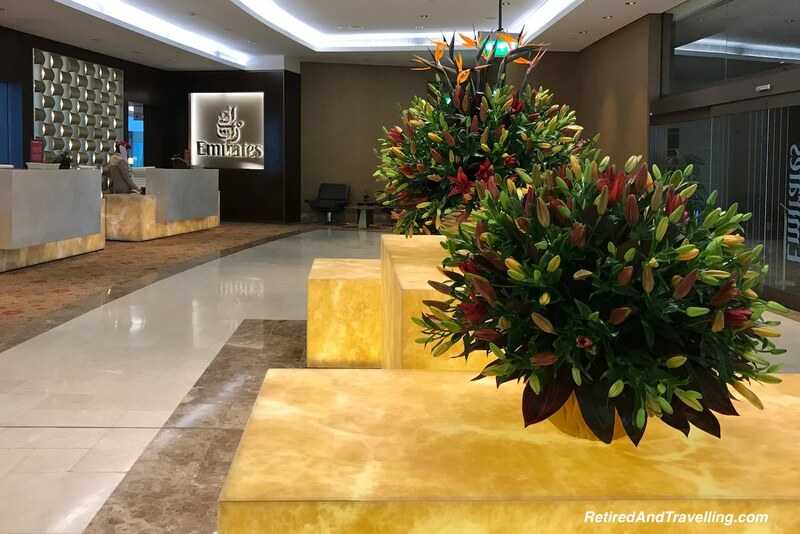 While the First Class lounge offered a much better experience for many of the standard lounge services, the Emirates First Class lounge in Dubai offered even more. 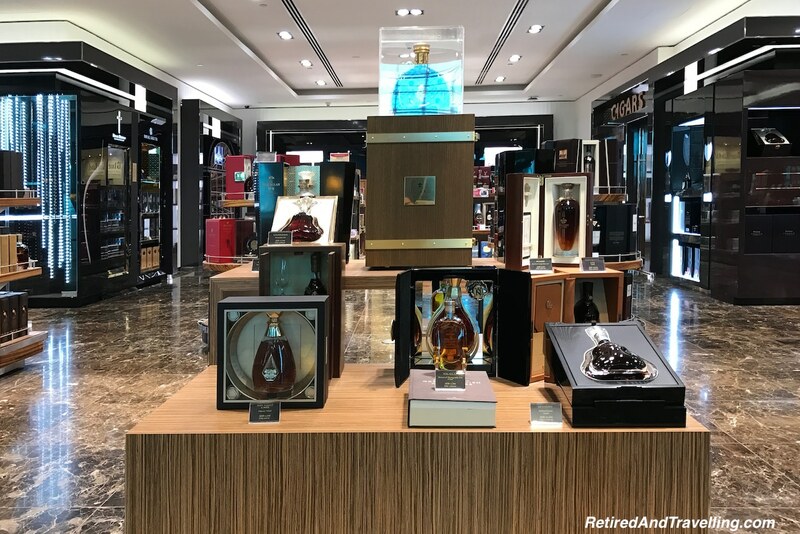 You knew you were in a different class of a lounge when the first thing you found on the lounge floor was the Duty Free shop. All of the high end shops were well represented. There was a fully enclosed smoking area. The sleep room was dark and tranquil. A whole business office area with several closed rooms would make this an ideal stop for business. 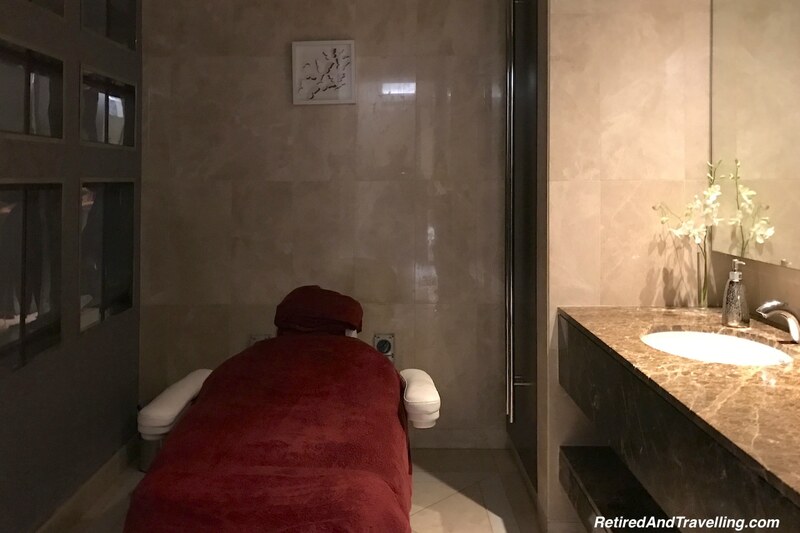 We checked in with the Spa to see about our “free” spa treatments. 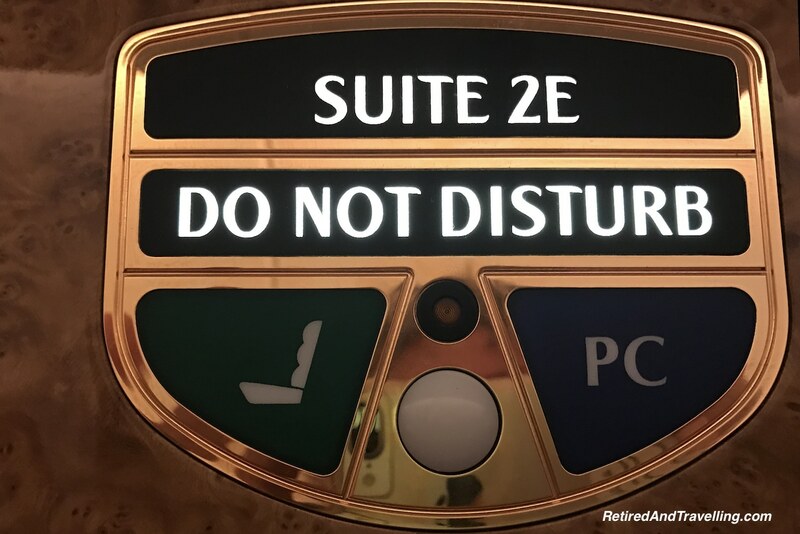 The schedule was quite busy but both David and I were able to get our 20 minute back and neck massages. It was a great way to relax. Given we had come from our hotel, we really didn’t need to find the shower facilities. Next time I will plan for even more time at the lounge so I might be able to take better advantage of the spa services. 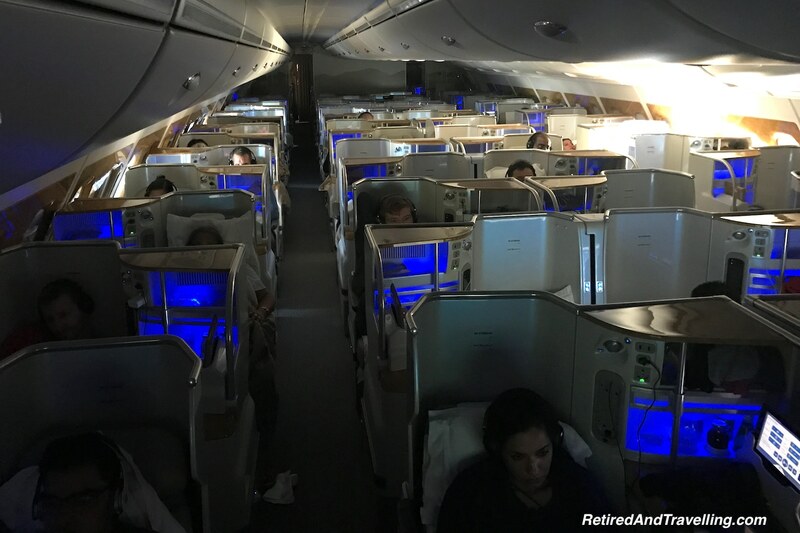 We got to experience Emirates First Class onboard both a 777 and an A380. The basic concept of the First Class pods were the same in both planes. The biggest difference was the higher divider walls on the 777. The seat was wide and offered full control over the position from straight up to lying flat. It was great to be able to have my feet elevated throughout the flight. When I wanted to have some privacy, the door was a great way to block out aisle traffic. Unfortunately it did not provide enough sound proofing to help when a young toddler cried for much of our overnight flight! I was surprised to find no bulkhead storage, so all of my carry-on stuff needed to stay in my little cubby. I had no trouble putting my rolling bag in a place that didn’t interfere with the bed coming down. My personal bag also fit under the extended bed. There was tons of little storage spots in the seating area for the stuff that I needed during the flight. The large screen TV was connected to an extensive entertainment system. You could control the system by touching the screen, through a remote control device or on an iPad. 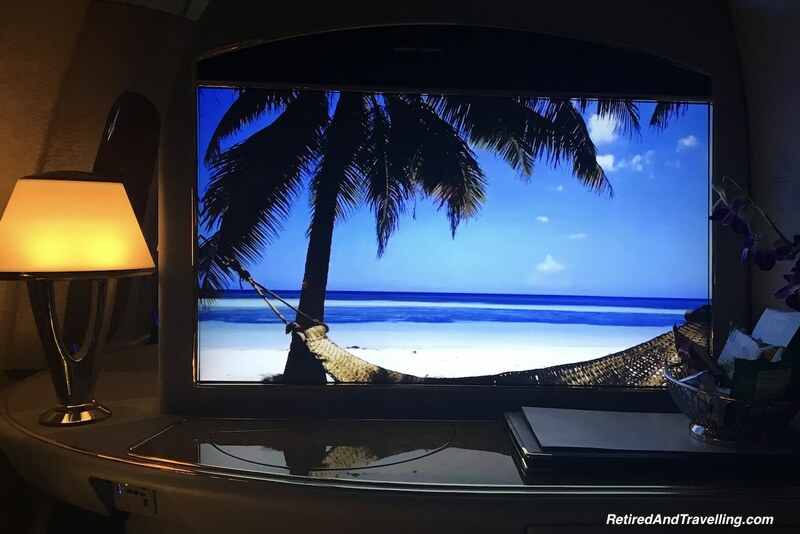 If you wanted to relax, the entertainment system also provided a series of calming scenes to enjoy. 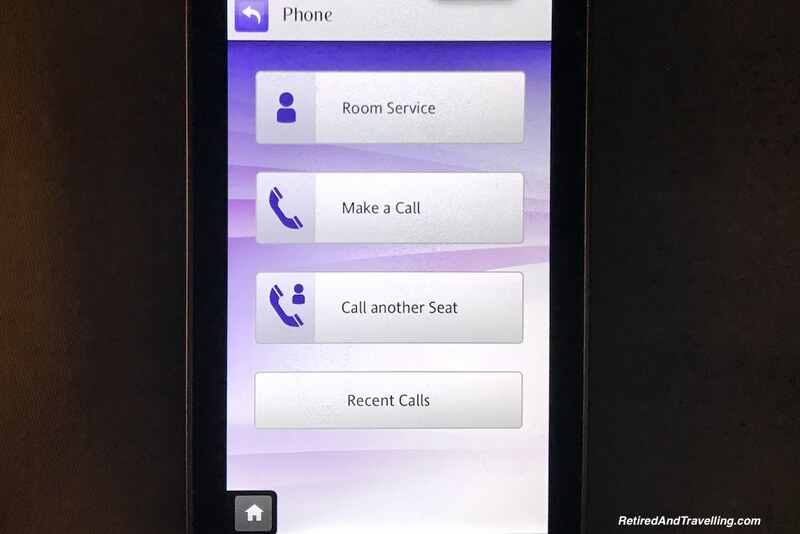 I was interested to find that the remote controller could also be used to communicate between seats. 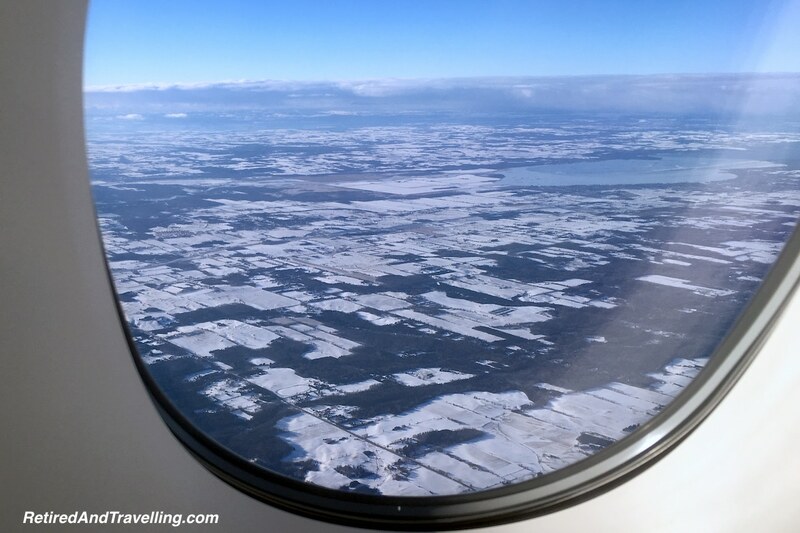 This was great when David and I were on opposite window banks to try to make sure we got the perfect window seat views! The Emirates First Class seating arrangement and amenities were absolutely a notch above Business Class. The seat was pretty much the same but when it was time to sleep you got a pad to cover the chair. Even on the A380, there are only 14 First Class seats so I found the cabin to be relatively quiet when we were not travelling with a screaming toddler in the next seat. When I wandered down to Business Class, it looked packed and crowded. Our plane had all 76 Business Class seats full. 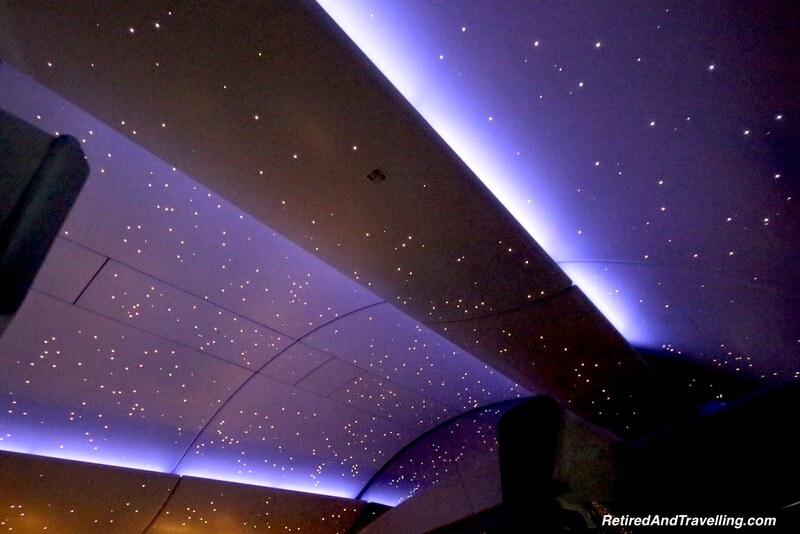 I am not sure I would want to fly Business Class on an A380! The Business Class section on the 777 still had 42 seats but seemed more like a traditional Business Class section. If you take a First Class seat on the window side, you will get two windows. 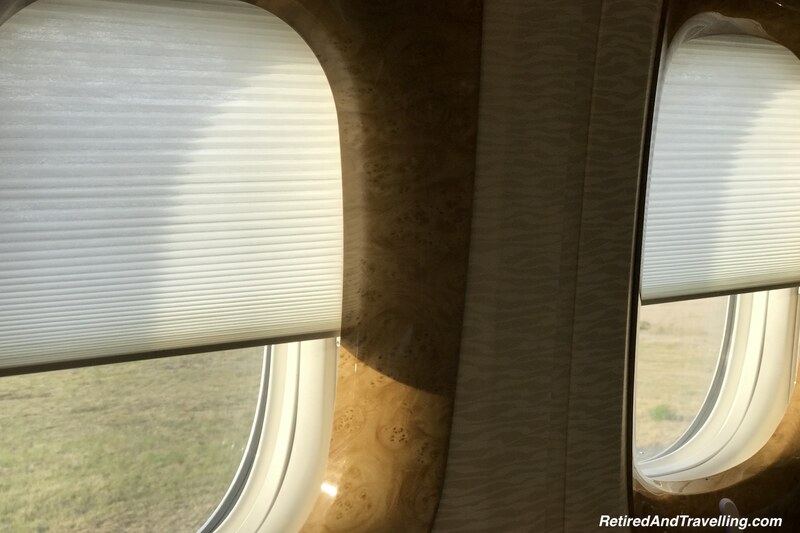 The windows are equipped with powered shades. The two windows provide you with a great opportunity to enjoy the window seat view. 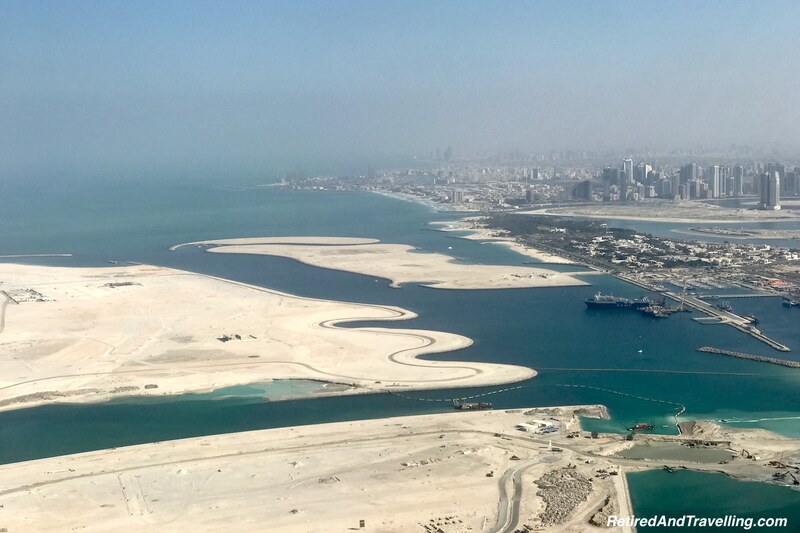 Leaving both Cape Town and Dubai provided good overviews of the city layouts. 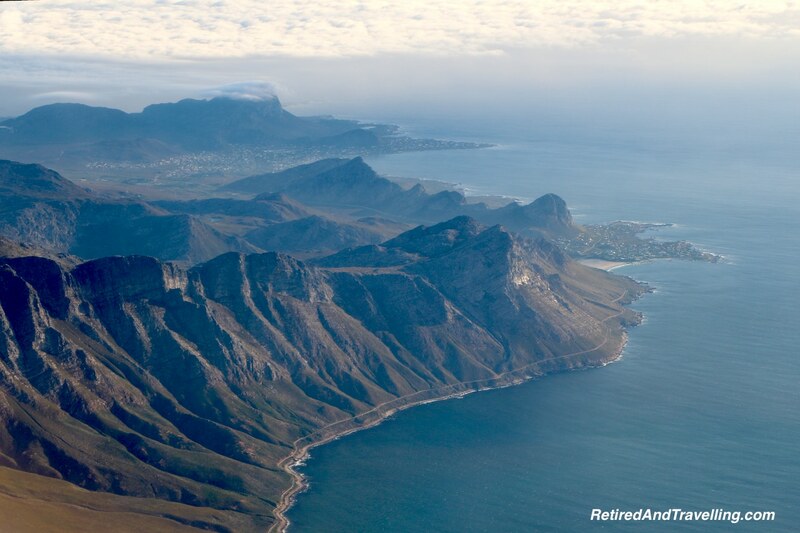 We could certainly see the sea and mountains that define Cape Town! 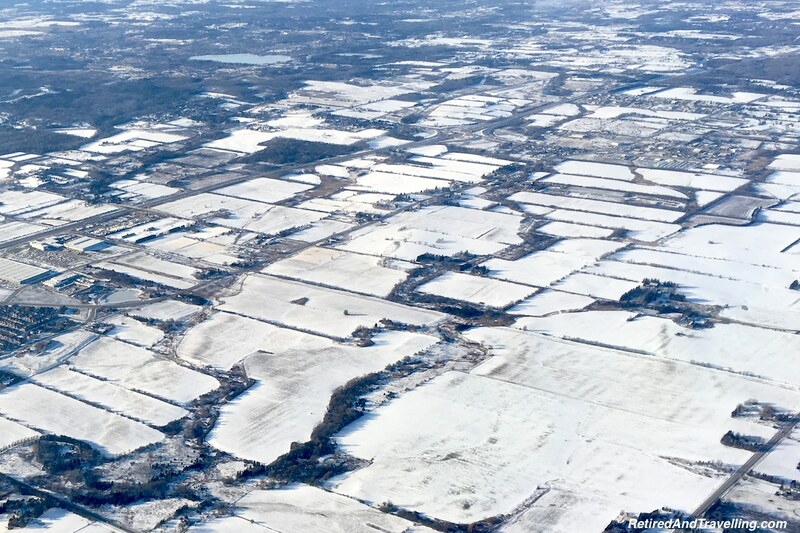 The trip from Dubai to Toronto was all during the day so I frequently looked out to check on the view. 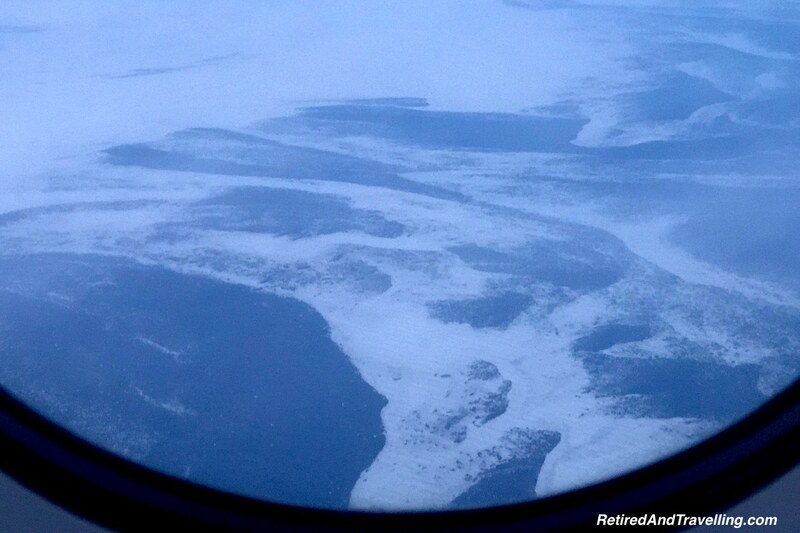 Flying over Iceland and the ice cap was a preview of the snowy scene we would find as we approached Toronto! 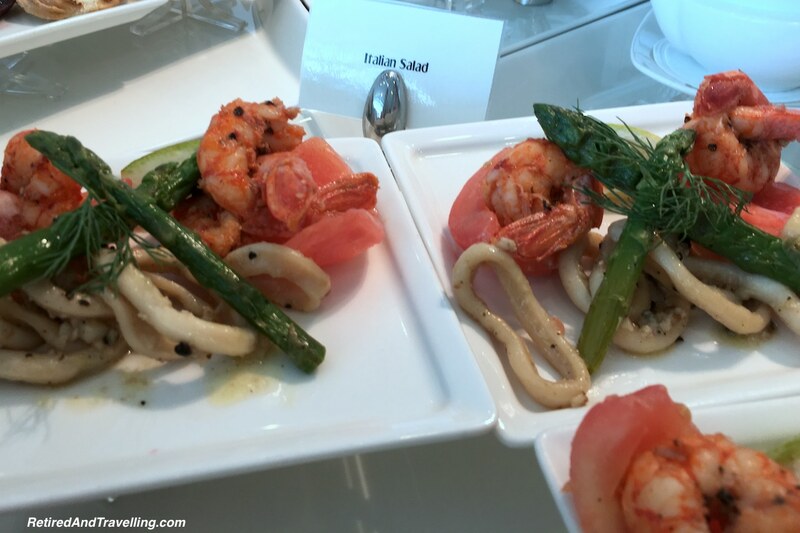 The Emirates First Class food was good but overall not outstanding on our flights. There was a lot of choice and I even got to try caviar. 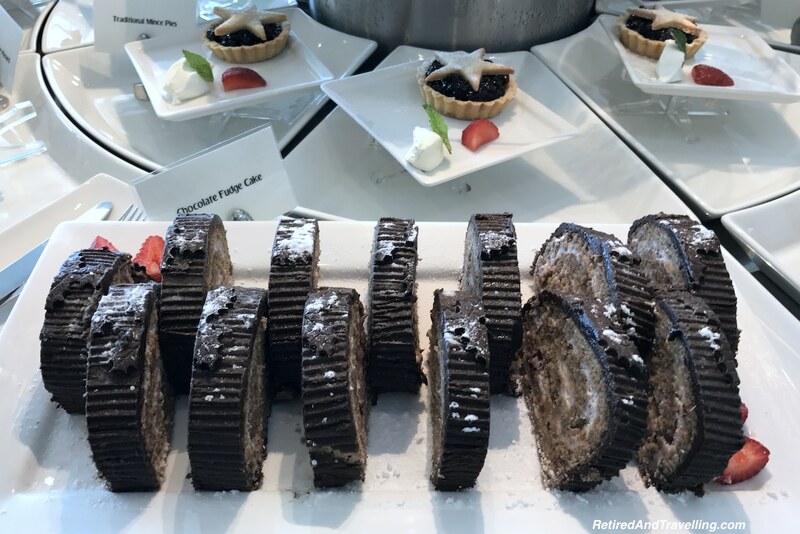 Some things were exceptional but others were not much different than I have had on many Business Class trips. But David did manage to find lots of chocolate! In Emirates First Class we got to eat on demand. This is great if you want to shift your mealtimes from the standard timeline. I decided to have a snack early and a bigger meal later. 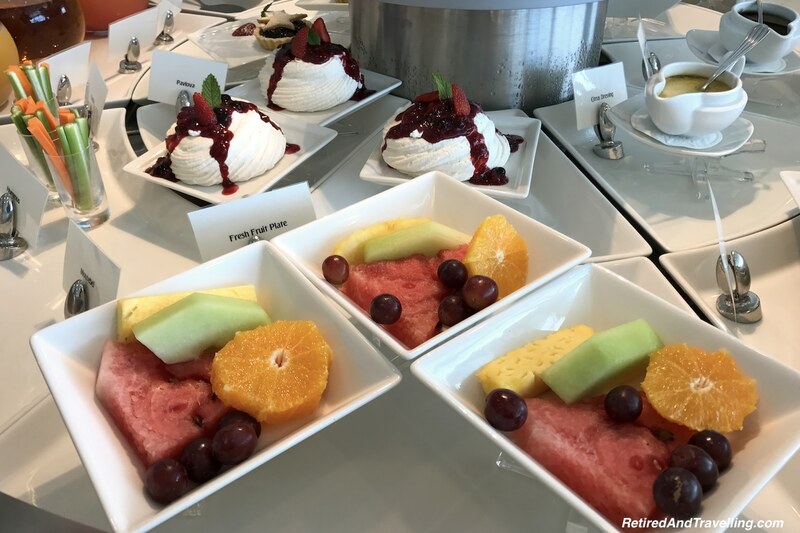 Because the food comes from the same supply for First and Business Class, many of the items I wanted were all gone when I finally decided to eat. If you have your heart set on a specific meal, you may want to order early! 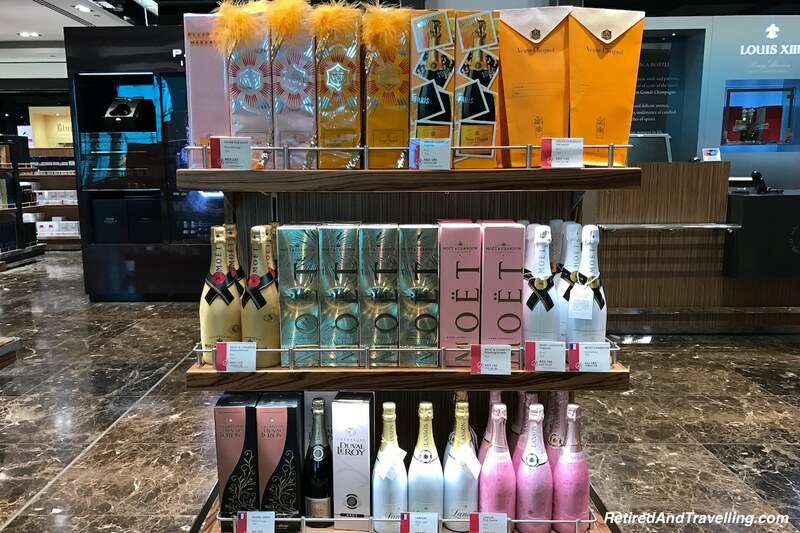 We are not big drinkers so the selection of booze really didn’t tempt us. 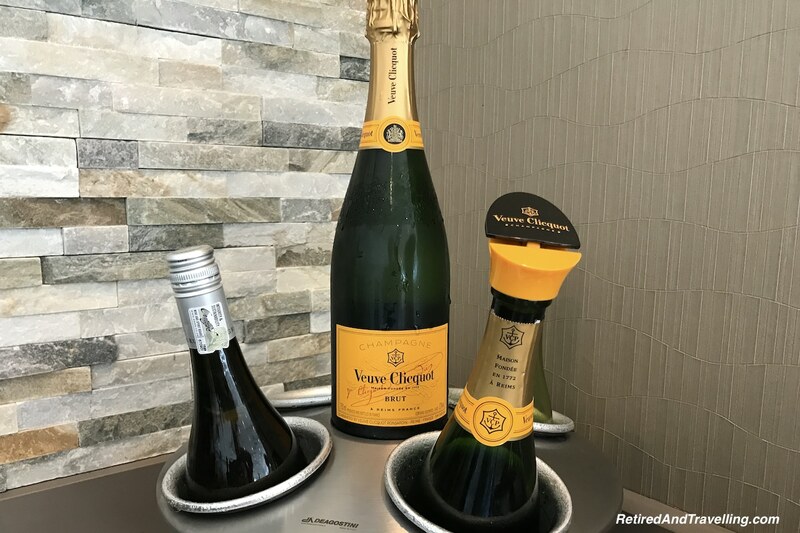 We enjoyed the Dom Perignon champagne but I actually prefer the Veuve Clicquot served in Business Class. 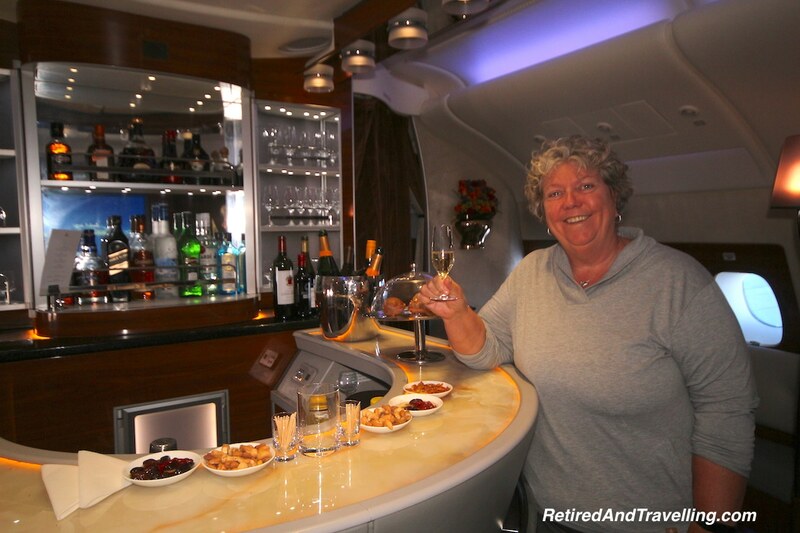 There was a small bar at the front of First Class and a large bar area behind Business Class. 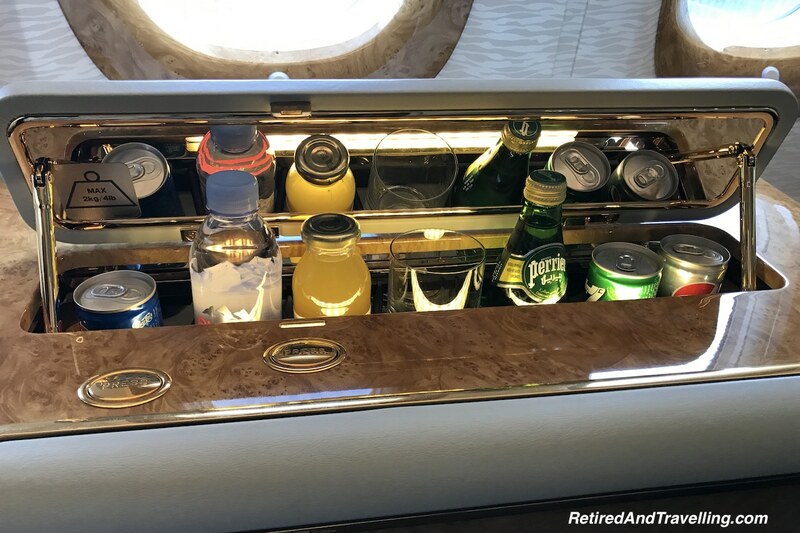 So there was no shortage of ways to find a drink onboard! 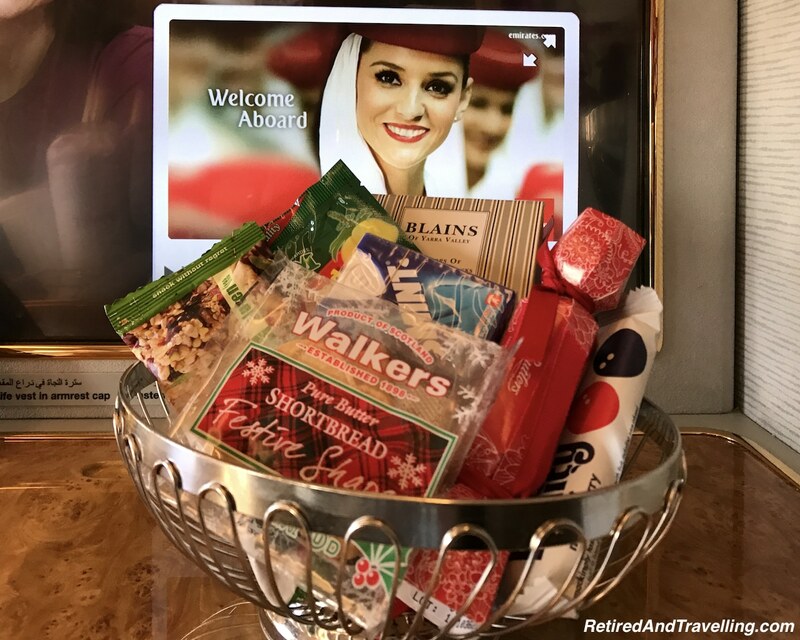 Your seat included a snack basket with a wide variety of temptations. A pop-up drink caddy was stocked with different of beverages. You could wander to the galley if you were looking to eat. A button on your seat could get you the flight attendant to order more. 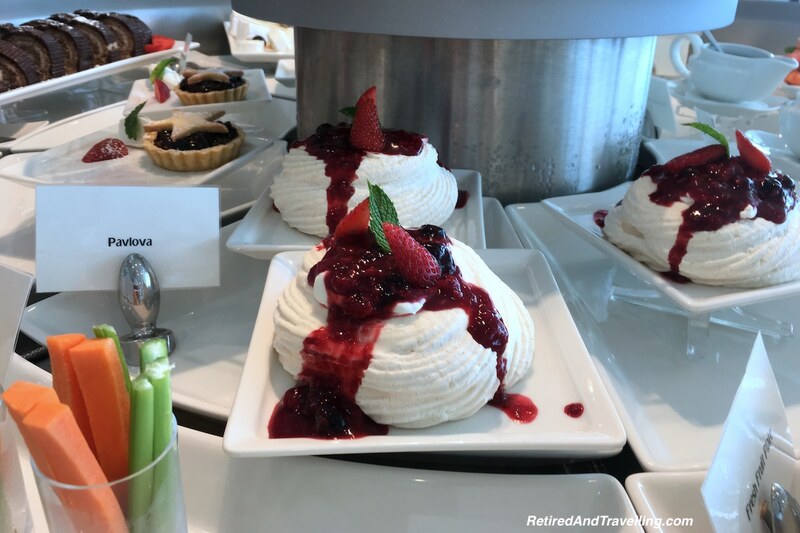 You would never go hungry in Emirates First Class! 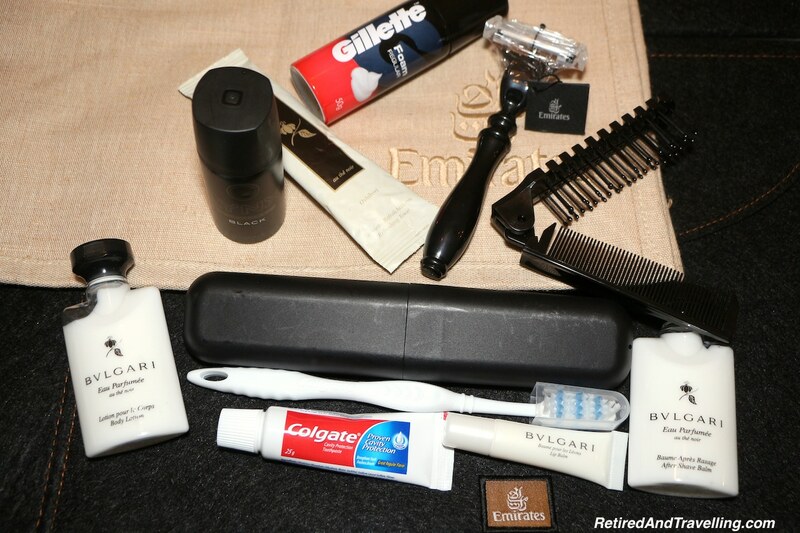 The male and female amenity kits for Emirates First Class included different but a broad selection of Bulgari products. These kits are the same in First and Business Class. You are provided with a sleep mask and can get earplugs if you ask. In First Class, there was also a second amenity kit in the cabin that included things to help with sleep. In First Class you are provided with a pair of comfy pyjamas and slippers too. They were great when I actually slept on the one flight. On the other flight during the day, I did change into the pyjamas to keep my clothes clean and unwrinkled. The pyjamas are supposedly a special fabric that helps keep in moisture. They are of a reasonable quality that the can be used again and again as pyjamas or for at-home lounging. We certainly continued to use our sets! In First Class you also get a writing kit. Unless you wanted this as a souvenir, I am not sure how practical this amenity was. We have experienced brands that really know about what drives customer satisfaction and loyalty! 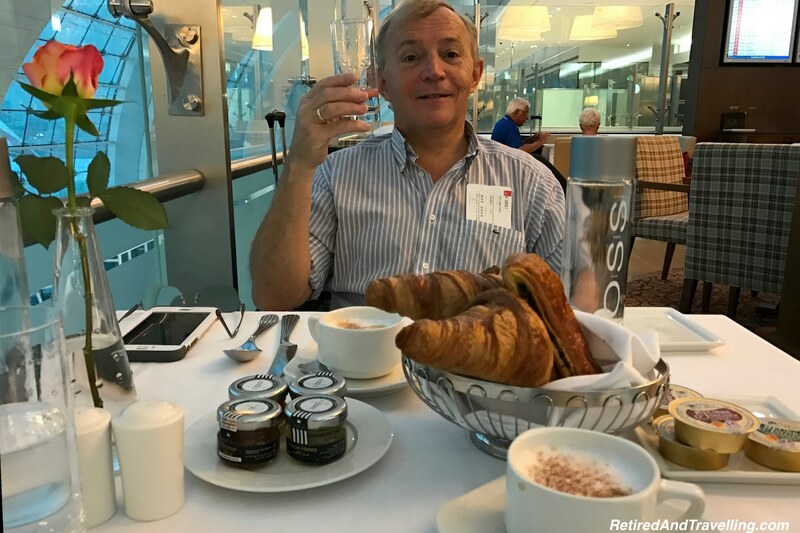 The staff and service was the one thing that I expected to be markedly different between Business Class and First Class. With far less First Class passengers, the staff should be more attentive. 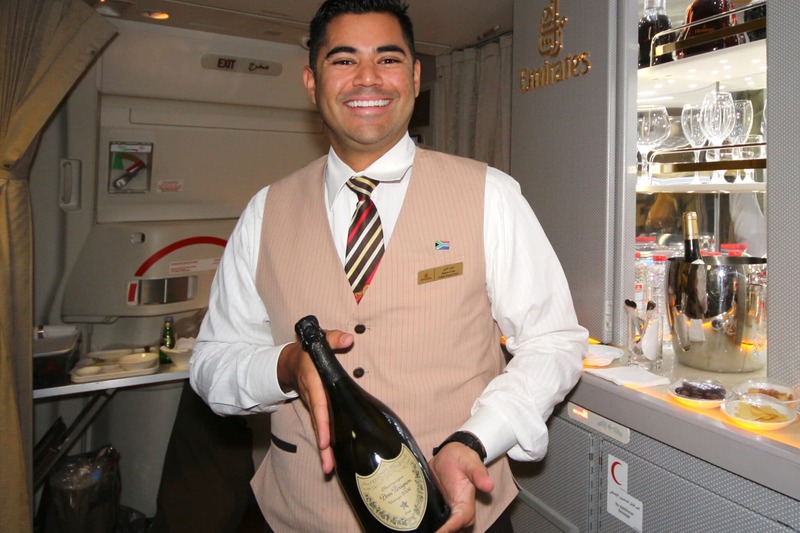 The Emirates First Class cabin crew on our 777 flight from Cape Town to Dubai were excellent. I barely had to lift my head before someone was there asking to help. The staff were pleasant, smiling and looked to provide personal service. That experience really defined what I was looking for in First Class. 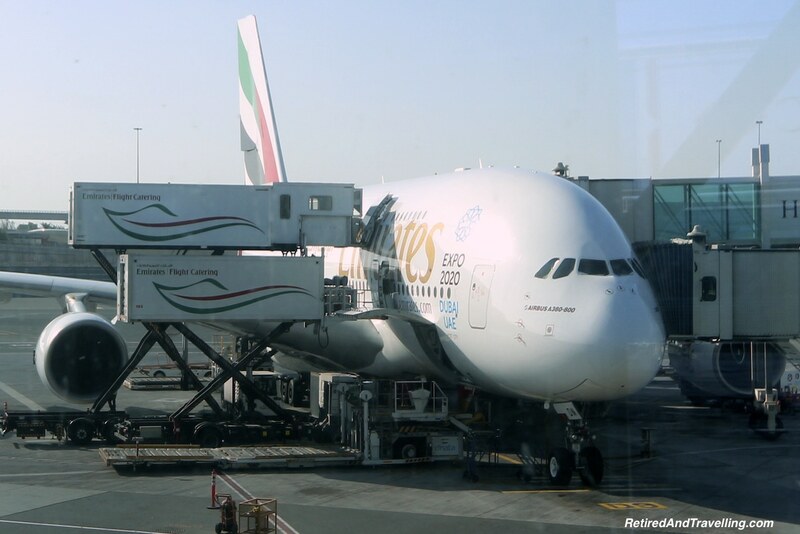 Our second flight on the A380 from Dubai to Toronto left me totally unimpressed in terms of customer service. The flight attendants only seemed to come if called. They would address one passenger when they came in the cabin and then scurry off. Several times I found them in groups in the serving areas and it seemed like an imposition when I asked for something. Trying to get a bottle of water took several attempts. They were robotically warm. If never felt like I was in First Class on the second 14.5 hour flight. The quality of service you get whether you are in Business Class or First Class depends so much on the crew and the leadership. Certainly the second crew were not great brand ambassadors for Emirates First Class. This seems to be a consistent remark in many reviews I read for Emirates. 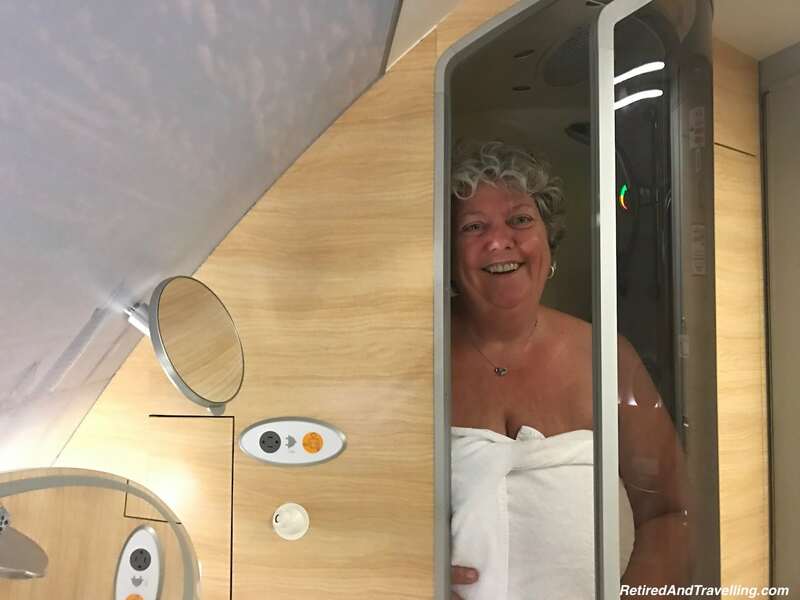 Probably the thing I was looking forward to most on our Emirates First Class experience was to shower in the sky! As soon as we were settled into our seats, we went to check out the showers. In the front of the First Class area there are two “spa” bathrooms. When we saw that the maximum occupancy was 2 people, we both went in to explore. These bathrooms included a shower, large change area, toilet and sink. Even when I was not there for the shower, it was great to have a big room. 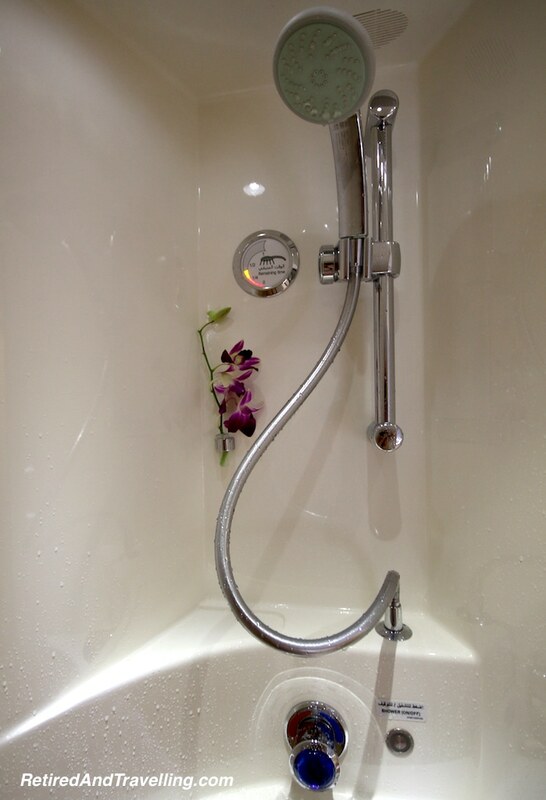 We booked our shower time in advance. I scheduled mine about 90 minutes before landing so I would be fresh before I had a final snack. 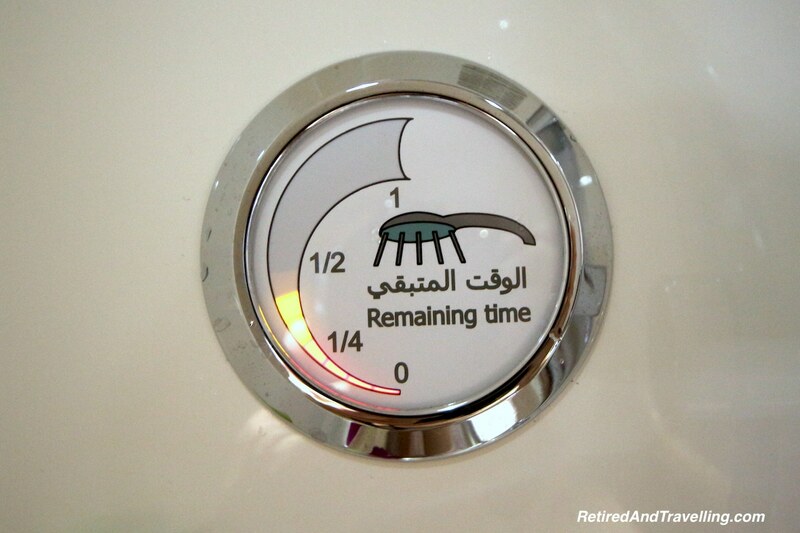 Each person gets 30 minutes in the bathroom and the shower water is timed for 5 minutes. Since you are only refreshing yourself, there was more than enough time allocated. Our flight from Dubai to Toronto was 14.5 hours. It was great to have a shower and clean up before landing. It refreshed me before dealing with the long Toronto airport walks and delays in customs and baggage. 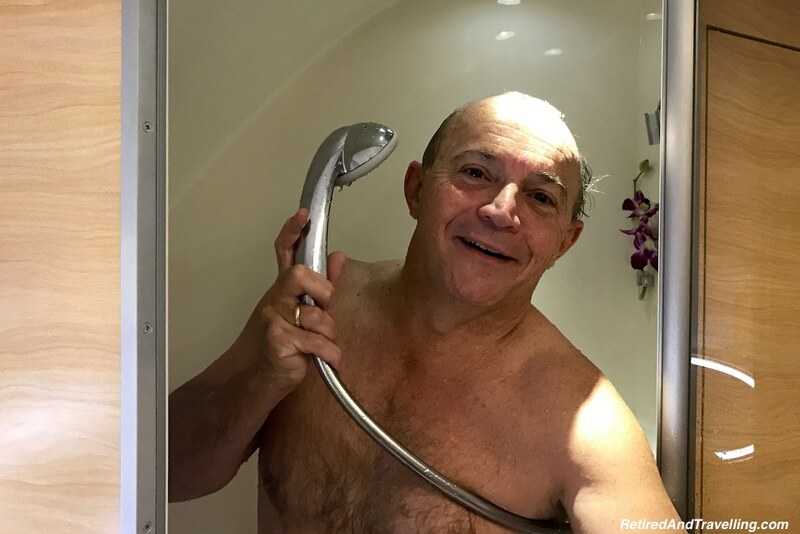 I am not sure I would need the shower quite the same on a shorter flight but I enjoyed every minute of my shower time in First Class! 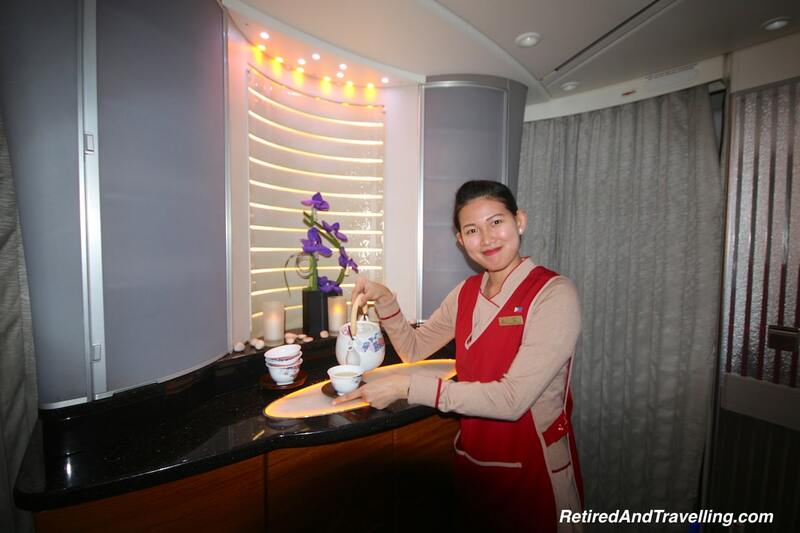 It is the one big differentiating factor between Emirates First Class on the 777 and the A380. 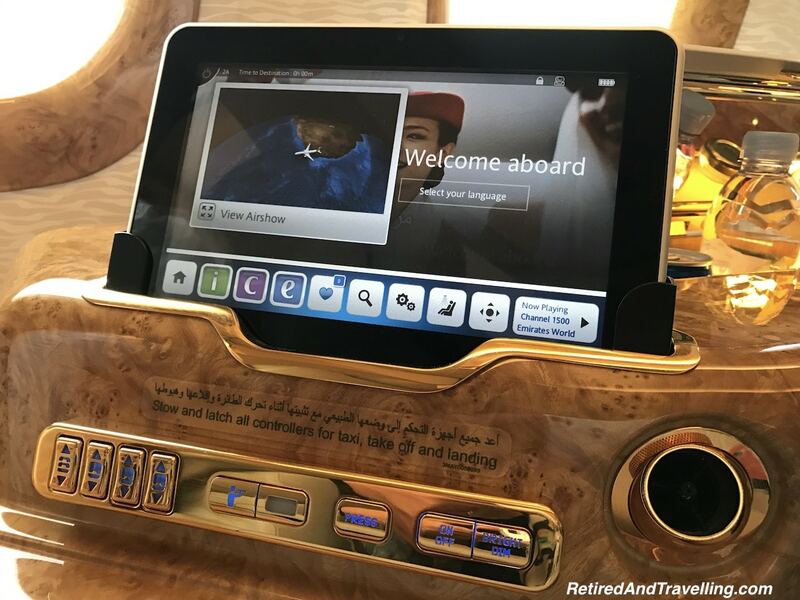 Is Emirates First Class Worth It? I must admit to being less impressed than I wanted to be with Emirates First Class. You can fly Business Class and get a driver. 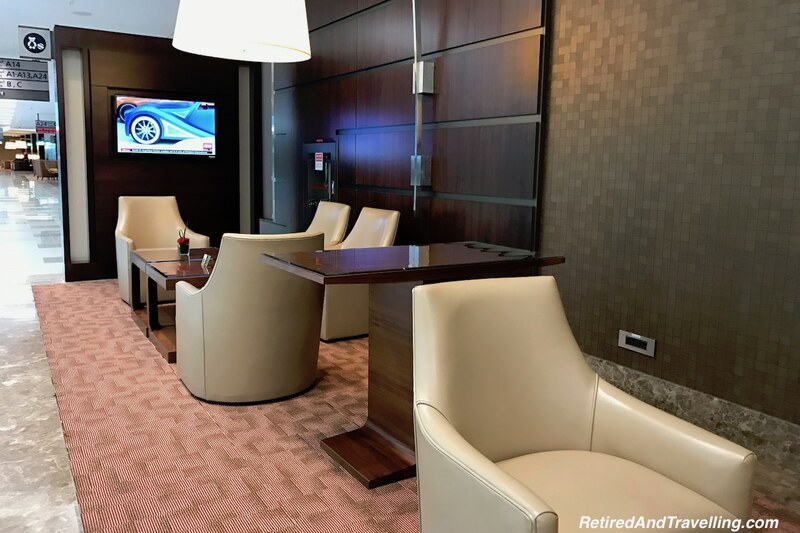 You are not always guaranteed a separate First Class lounge or a lounge as nice as or with as many services as the one in Dubai. The private cabin with a door is a major upgrade from Business Class, especially on the crowded A380. Pyjamas were a nice touch but the extra things in the amenity kits really were not needed on the flight. 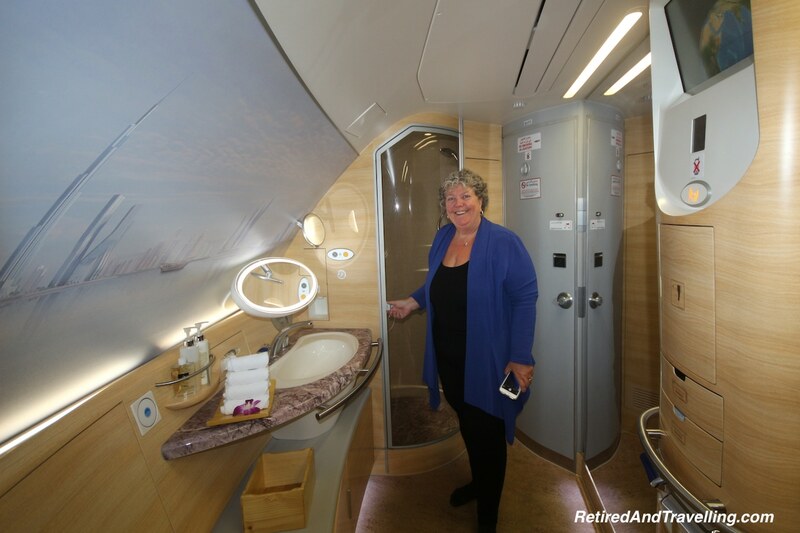 The shower was great for a very long flight but requires that your route be serviced by an A380. My biggest disappointment was with the customer service on the A380 flight. I really wish that the in-flight service on our long flight back to Toronto had felt more pampering. 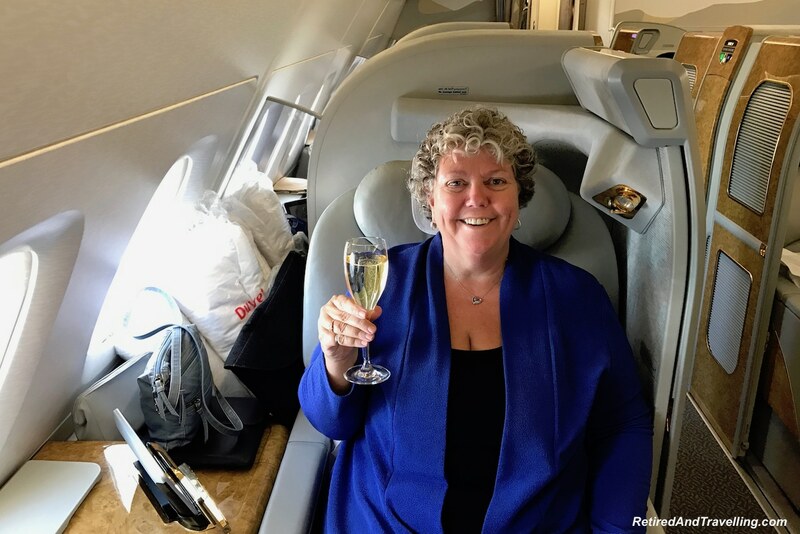 We had a day in Emirates First Class on two very different flights. 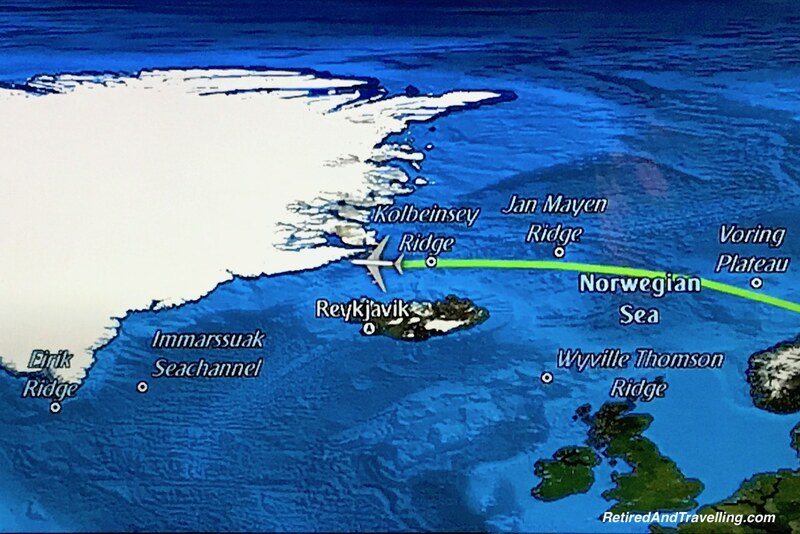 It gave us a chance to try the service offering on two very different flights. Other than the shower, I would probably prefer to fly the 777 and have a smaller, less busy space. Maybe that helps give more personalized service? 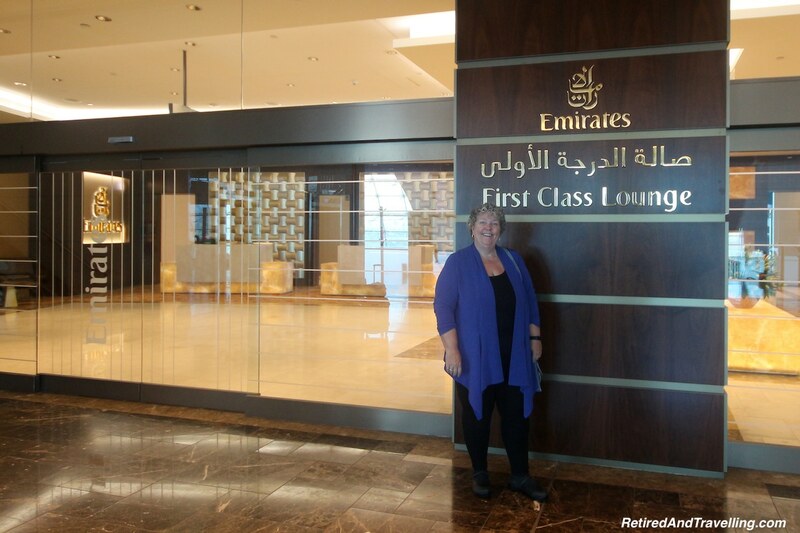 We were certainly spoiled to be flying in Emirates First Class, especially if you compared it to Economy. But for double the price of a Business Class ticket, I am not totally sold on the value of the upgrade. 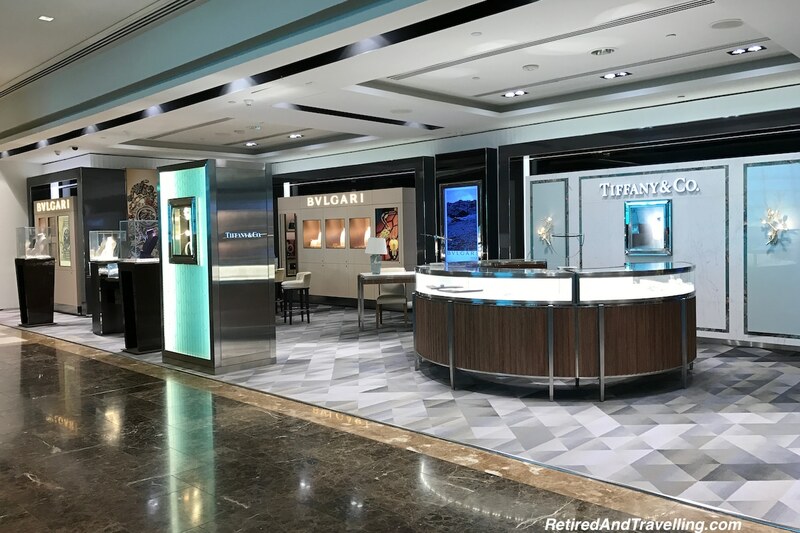 But if I accumulate enough travel dollars again, I would certainly splurge on First Class! Especially if we travel to our through Dubai again! 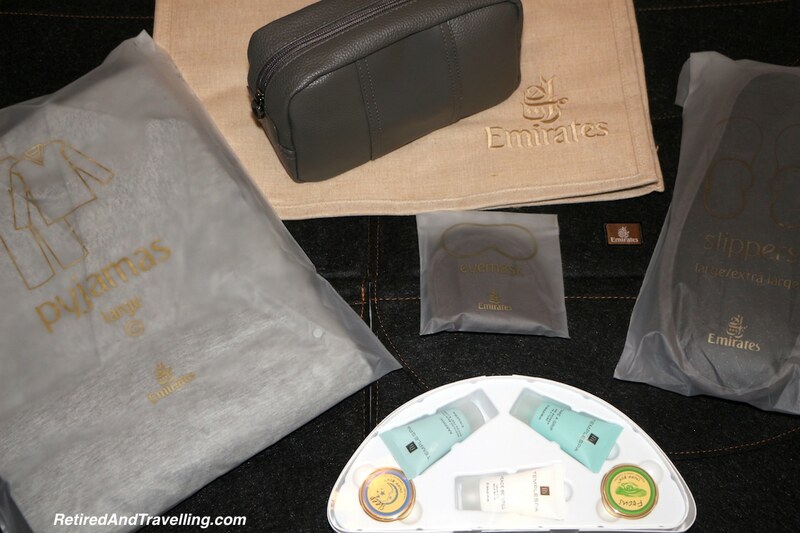 Have you tried Emirates First Class? What would you look forward to most? What other First Class service would you recommend?